KAN is preparing to invest NIS 135-140 million (32-33 mln Euros) in the Eurovision Song Contest. Additional expenses over the original figure of 120 mln mean 15 mln more will be deducted from original productions. After all the calculations, the Eurovision core team came to the conclusion that suggested figure of 120 mln will not be enough to meet the ESC 2019 budget. As a result, IPBC is preparing to cut NIS 10-20 million already this year from the original productions, and even this has informed the various production companies that produce TV programs for KAN, reports The Marker. At this stage it is not clear where the most significant cut will be made , but apparently the intention is to spread it to as many productions as possible. In any event, most of the damage will be in the large production companies that produce for the corporation TV products worth millions of shekels a year. The corporation's initial budget proposal reached NIS 157 million, but later, during negotiations with the Ministry of Finance, the number dropped to 120. Of which 70 million will come as a loan for 15 years from the government. Another NIS 40-50 million is expected to come from various revenues around the event (sale of tickets, sponsorship and EBU participation fees), and the balance will be financed from the corporation's budget of NIS 650 million a year. At this stage, Eurovision production team is setting a higher price - at least NIS 130 million. This means that in addition to repaying the loan, the corporation will have to spend NIS 10-20 million from the current budget to finance the Eurovision - and therefore the cuts began. Total cost of Greek broadcaster ERT participation in the Eurovision 2018 amounted to 183,470 Euros, reports Eurovisionfun. Of those, 119,000 Euro were EBU participation fees, 25,000 Euros - costs of technical facitlities of the broadcasts, 8,000 - cost of renting of commentator booth. With the remaining amount (€ 31,000) , ERT produced three shows for the presentation of the Greek entry and the songs of each semi-final, travel, accommodation and daily expenses for its 4 employees (Head of Delegation, Head of Press and two commentators) in Lisbon for a period of 7 to 15 days, as well as travel costs in Lisbon, transfer of promotional material, etc. Cost of recording and production of the song itself were not revealed. To compare, RTÉ, the Irish national broadcaster, has spent €304,088 on their participation in ESC 2018. A total of 18 people travelled to Lisbon as part of Irish delegation, including six on-stage performers. Participation fee for Ireland amounted to €83,861 Euros. A figure of €220,227 was spent on costs including artist and designer fees, staging, graphics production, props, pyrotechnics, costumes, choreography, postcard filming, photography, attendance at pre-Eurovision promotional events and song recording and production among other elements. Production costs (design, set pieces, lighting props and pyrotechnics) amounted to €27,190; accommodation cost to €42,355; economy flights came to €9,146, and food and subsistence cost €13,632. Nova Productions, the production company behind Georgian Idol Sakartvelos varskvlavi, has confirmed that the show final will take place on 2 March. As we have been reporting earlier, ten contestants will be chosen for the nine live shows by four member jury. The event will be broadcast starting January 5, 2019, thus the ninth show - the final - will take place on 2 March. Five of seven today's participants of HaKokhav HaBa L'Eurovizion managed to qualify to the next round. Today's program featured participation of Ben El Tavori's brother Elad - during his performance Ben El and Static had no vote. Videos of all performances are available here. 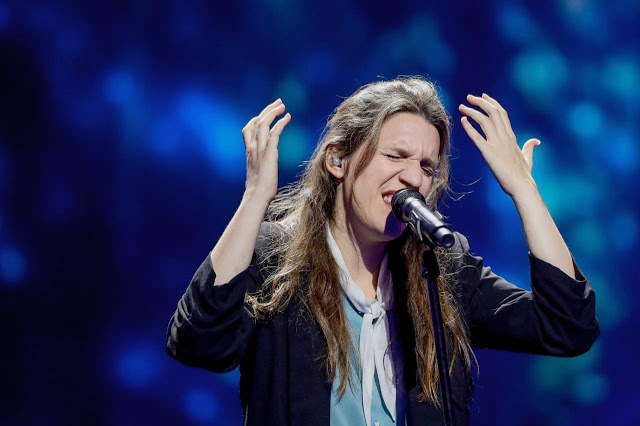 Luísa Sobral, sister of Salvador Sobral and songwriter of his winning entry "Amar Pelos Dois" has revealed she got invitation to take part in Sanremo 2019, but as last year she had rejected it. "I've had a lot of people contacting me to compose songs... But everything related to the Eurovision do not correspond to the path I want to follow and the invitations related to that I did not even accept. I don't want to remain connected to the Eurovision. I was invited to the Italian Festival. I wrote the song, but I don't even know if this singer is going to perform it. I wrote it because I like to write in Italian. I thought it would be interesting for me to enter this market too... She asked if I wanted to do a duet for the Festival and I said that I did not want to have anything to do with it anymore, just being the composer, but a composer who does not even go there", singer revealed in the program Encontros Imediatos, reports ESCPortugal. Co-heads of delegation of Armenia at the Eurovision Song Contest David Tserunyan and Anushik Ter-Ghukasyan have discussed internal preselection with News.am Style: "This is not the first time that the Public Television makes the choice of the artist in this format. "Depi Evratesil" is a large-scale competition, which should be prepared for a long time, and after the national contest, more time is spent on finalizing the entry. In order to spend more time preparing for the international contest, this year we decided to select our artist in the same internal format. I am confident that Srbuk's unique image will impress the international community, "commented David. 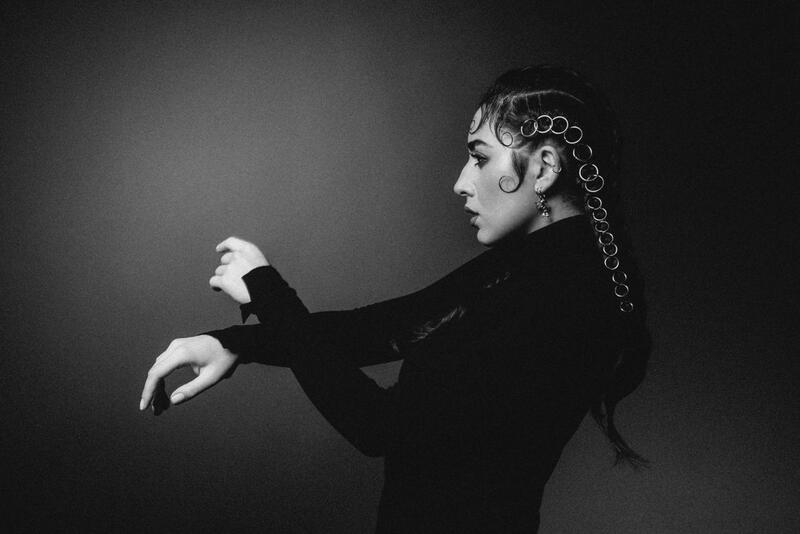 "Over the last two years, Srbuk's name has been widely circulated in the Eurovision fans' opinions, so judging on her vocal abilities, infinite energy, artistic expression, and the experience of performing on professional stages, the Public Television unanimously decided to choose Srbuk "added Anushik. "I have been working with Srbuk for a long time, working with her in one of the projects, and noticed her hard working, which is one of the keys for the success in Eurovision. Even one day has not passed, but the responses are very positive and I have not encountered any negative content. Everyone is happy with the choice. We are very glad that the public opinion and our choice coincided." "Now we are in the most important stage, because the good song is the most important component of Eurovision, and we have tried to make sure that composers have a lot of time to write a song. We encourage everyone to be active and support our singer on this issue and send their version of the song before January 10th. With the best of all, Srbuk will represent Armenia at Eurovision 2019, "concluded Anushik. All songs of Estonian preselection Eesti Laul 2019 can be heard on ERR website. Watch presentation "Eesti Laul 2019. Start" here. Two more acts have expressed their interest to compete in the Lithuanian preselection. Band MaNNazz will present an environmentalist entry, encouraging to protect the planet we live on. "I've done a lot of things over the past, but the last four years have been a very precise curve. I know what I do where I go - "Eurovision" is not the last-minute decision, "says Kamilė Kielaitė-Sienkiewicz, vocalist of the electronic music group MaNNazz. "I just felt like I wanted to have something to say. In addition, we had the idea of ​​a piecework - half a year ago, the search results have been good". Previously, Kielaitė-Sienkiewicz has competed in the national preselection six years ago. "I'm not afraid of anything, I've been on the stage for over 15 years. It's not a sport - a music mission to talk, enjoy, treat. I think for the first time I felt the desire to participate in Eurovision after a long break when Salvador Sobral won. Then a lot of musicians started knocking on, because he really did bring sincerity and music to this competition. Here's a good place to experience the adventure, "says the singer. "Songs are as messages, when writing, I never know what the song will be like. To my surprise, this work is dedicated to us - to think about preserving the land, about the fact that our actions have an impact on the environment. It's very unfortunate that we not only use this wonderful planet but also destroy it. I am one of those who need to change a lot of habits to really contribute to its preservation, "says K. Kielaitė-Sienkiewicz. Members of the group are already thinking about the performance, which will include vocal tricks not yet heard in Lithuanian selections like beatboxing. Band Twosome will rejoin the selection after competing last year. "Enough of showing ourselves through tears and crying to Europe - you need humor," says band member Paulius Šinkūnas. New song will be created by band members themselves and arrangement by Justinas Stanislovaitis. Actor Zigmantas Baranauskas, who was last time dressed in flamingo suit, this time will get a singing role. P. Šinkunas does not reveal what the new song will be about, but promises an unforgettable impression. "The song is about the lyrics. A song message is important to us - it's impossible without a good lyrics. We promise you'll surely be surprised. Maybe it's a sound phrase, but we will do something no one has ever done in the world. We're concentrating on TV appearance and have clear vision of what we want. We created the format, the stage will be completely different. Now the last scratches are being made, because I want people to remember the performance as good as last time. Of course, this time there will be no flamingos. Expect something different - we're not the band that will present itself in one particular style of music. " "If this happens, to win Lithuania's selection, we are confident that we will not make shame, because we try to do everything professionally. In addition, I myself personally have prepared another Eurovision surprise", - P. Šinkūnas mentions mysteriously and says that he will reveal more details in the future. On Monday, December 3, from 11 am, MTVA will hold a press conference on A DAL 2019. During the event, will be introduced the songs and performers who have reached the live shows stage, as well as jury members and presenters. A DAL also gets a new logo and branding. If there are no other changes, as in previous years, we will get 30 songs / performers, and we will be able to hear an extract of the competing songs. It seems that the story is about co-writers of the song Kristoffer Fogelmark (Bonn) and Albin Nedler (co-producer of Avicii) who in the past have already collaborated with Alex Papaconstantinou and his usual partner Viktor Svensson. For example, all four were involved in Tamta's Unloved. Srbuhi "Srbuk" Sargsyan will represent Armenia at the Eurovision Song Contest 2019. It was announced during the evening "Lav yereko" program on Public TV of Armenia by its hosts Aram MP3 and Garik Papoyan. This year, Srbuhi Sargsyan took part in the Ukrainian edition of "The Voice" where competing in Potap's team, she finished on the 4th place. 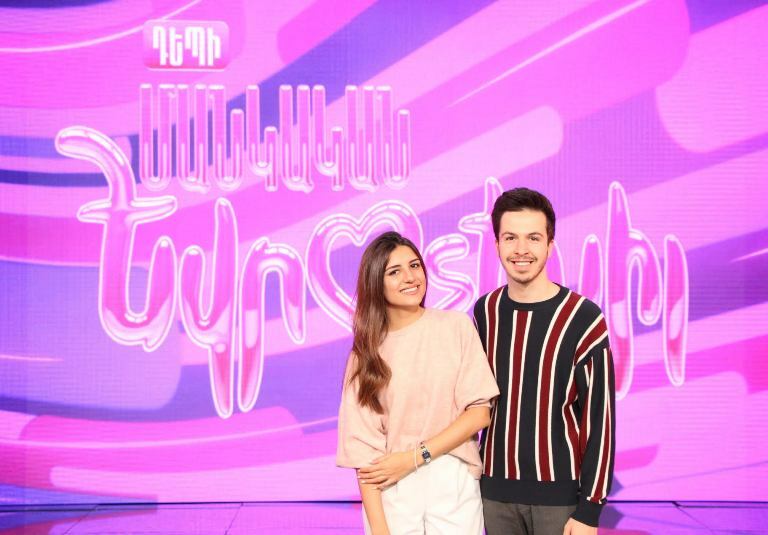 After the contest, she signed a contract with the Armenian agency Factory Production and few days ago released a solo single "Half A Goddess"
Today, Aram MP3 and Garik Papoyan announced that Srbuk will represent Armenia at the Eurovision Song Contest 2019 during the "Good Evening" program of the First Channel. 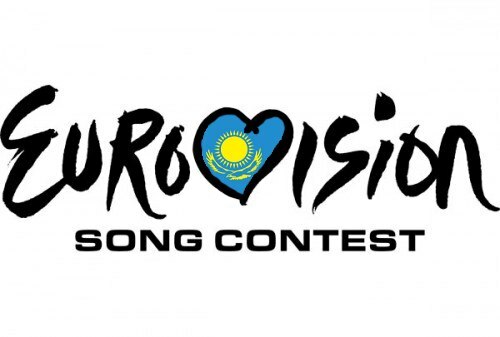 Co-Head of the Armenian delegation at the Eurovision David Tserunyan informed that this year the Public Television's creative team decided to hold an internal election. "The decision to choose our participant was unanimous. I would also like to mention that many fans of the competition wanted to see Srbuk on the Eurovision stage. I am confident that Srbuk's unique image will impress the international community. " "For a long time, I've been following Srbuk's activities - we worked together in one of the projects. I can distinguish her hard working and unique energy, which is one of the most important components of achieving good results in the Eurovision, "said Anushik Ter-Ghukasyan, co-head of the delegation. "I start a new trip, which I am sure will be full of new experiences, pleasant emotions, difficult moments and spirit of fight. I thank my compatriots, all my fans, who have been with me for several years and have always been proud to see me at the Eurovision Song Contest. I thank the Public Television for trust and dedication to me. We are on the start of a long way and I hope we will pass this difficult path together, "added Srbuk. At the same time, the Public TV Company of Armenia announced an open call of song submissions for the Eurovision Song Contest 2019. • The lyrics of the song should lack a political context, offensive expressions and any inappropriate language. • The submitted song can be in any genre, the lyrics should be in Armenian or English. The song should be submitted to selection@armtv.com before January 10, 2019 attaching a document of copyright registration of the song and contact details of songwriters to the email. 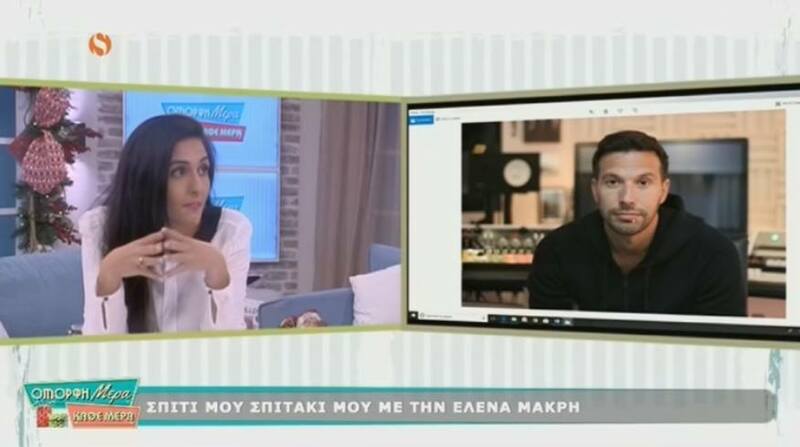 Cypriot broadcaster RIK in its morning show "Omorfi mera kathe mera" has confirmed that the correct answer for the yesterday's quiz is indeed that the song for the Eurovision 2019 has been co-written by Alex Papaconstantino, Teddy Sky and their team, who were also behind Fuego, reports OGAE Greece. At the same time, show-biz reporter of "Folia ton Kou Kou" of Greek Star TV Yanis Poulopoulos stated that producer of the contest entry of Cyprus this year will be Red One. The information has not been confirmed by the Cypriot broadcaster. Recall that Red One was behind Russian Eurovision 2011 entry by Alex Sparrow. According to Poulopoulos, Alex P. has prepared a dance-pop song but without ethnic elements that were featured in Fuego. In the coming days, allegedly, a meeting of the broadcaster with singer Tamta will take place, who will be offered to perform the song, reports Eurovisionfun. The Palestine Liberation Organization (PLO) Executive Committee member Hanan Ashrawi called today upon the European Broadcasting Union (EBU) "to respect the Palestinian people's rights and to not broadcast any Eurovision Song Contest events in Israel's illegal settlements.". She said in a press release, "Giving Israel the privilege of hosting the 2019 Eurovision amounts to rewarding it for and helping it to conceal its decades-old military occupation and grave violations of Palestinian national and human rights. At the very least, the European Broadcasting Union (EBU) must ensure that Israel's illegal settlements throughout the occupied Palestinian territory, including those in East Jerusalem, are strictly excluded from any broadcast of the Eurovision activities." Last week the Palestinian Journalists Syndicate called for a boycott of the 2019 Eurovision Contest. Syndicate wrote a letter to the European Broadcasting Union claiming that the Eurovision contest related events "may be held in Jerusalem or any part of occupied Palestine, and this is harmful to the rights of the Palestinian people, especially their right to self-determination." Working alongside the Palestinian Campaign for the Academic and Cultural Boycott of Israel (PACBI), a petition — "Eurovision: Artwashing Apartheid" — has attracted more than 25,000 signatures. Drawing parallels with Apartheid South Africa the petition makes a global appeal for support by calling on "members of the European Broadcasting Union — the public broadcasters — to withdraw from the 2019 Eurovision Song Contest hosted by Israel, in order to avoid being complicit in Israel's ongoing violations of Palestinian human rights.". At the same time BDS-staged calls to boycott the contest continue all around Europe. Today, several Portuguese artists have appealed in an open letter addressed to RTP to the boycott Portugal's participation in the contest. "We urge RTP to act within the EBU-European Broadcasting Union so that the festival is transferred to a country where war crimes - including murders of journalists - are not committed and if this will not happen, to withdraw completely from the 2019 Festival". Similar petition was signed last week by several prominent Swiss artists. This week three UK-based pro-Palestine groups Palestine Solidarity Campaign (PSC), Stop The War Coalition and Palestinian Forum UK urged songwriters and performers to boycott the 2019 Eurovision Song Contest. The three groups called for a protest at the BBC Headquarters in London on December 1 to demand that the British Broadcasting Corporation withdraw from the song contest. Today, similar protests were staged near the headquarters of France Televisions in Paris. Queer pro-Palestine activists led a karaoke protest outside famous London LGBT nightclub Heaven on Wednesday 21 November when Eurovision 2018 winner for Israel Netta Barzilai performed there. 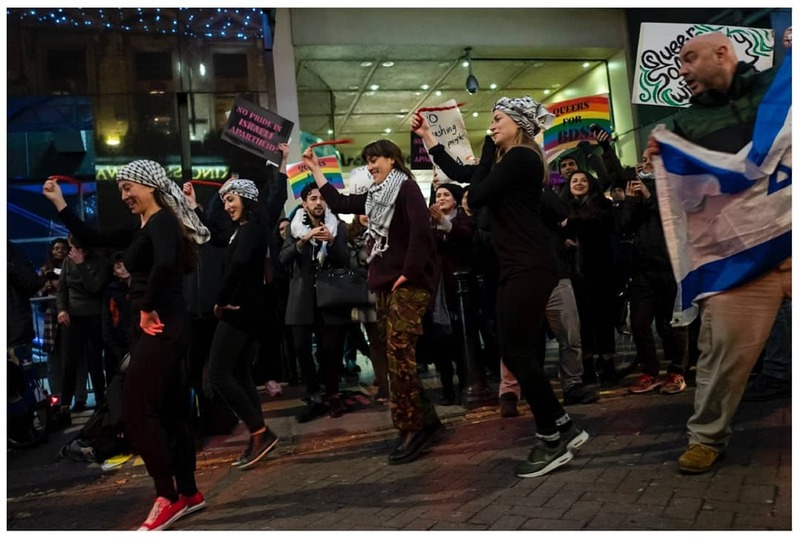 The musical protest was organized by London Palestine Action and also featured a Palestinian folk dance – and Palestine solidarity version of gay anthems with lyrics re-written to criticise Israel’s violations of human rights. BBC has revealed changes for the UK song selection show. 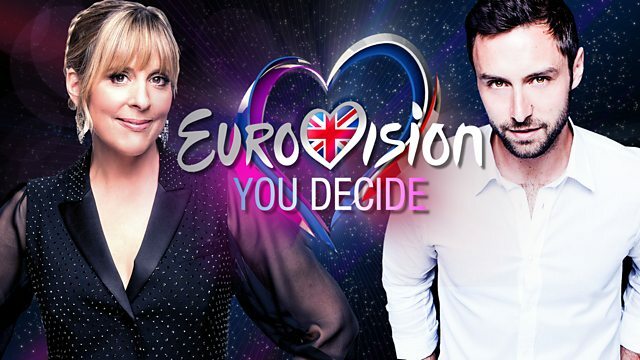 Presented by Mel Giedroyc and Måns Zelmerlöw, BBC Music’s Eurovision: You Decide will be broadcast live from MediaCity UK in Salford as the show comes to the North West of England for the very first time. From the hundreds of songs that have been submitted, three will be performed on the night by six different artists. These six acts will compete for the honour of representing the United Kingdom at the Grand Final of the Eurovision Song Contest 2019 in Tel Aviv, Israel. In the exciting new format, each of the three songs will be performed in two musically different ways, by two different acts. There will be three rounds of 'song-offs', with six acts performing in total. Mel Balac, Creative Director for Entertainment BBC Studios and Executive Producer of Eurovision: You Decide said: "Eurovision: You Decide 2019 will be bigger and better than ever before. This year the three songs presented to the United Kingdom have been selected with the help of an international jury. Our exciting “euro-version” format will give fans the chance to compare and contrast these fantastic songs in a fresh, new way and deliver the United Kingdom the artist it deserves to fly the flag out in Tel Aviv in May." Kate Phillips, Controller of Entertainment Commissioning at the BBC said: "Forget about a sing-off, next year it’s all about the song-off as we once again try to marry a great singer with a great song, one which could finally get us on the left hand side of the leader board. We may be leaving the EU but we are still determined to win Eurovision again one day!" Ken Bruce will broadcast live from Salford on the morning of Eurovision: You Decide, chatting to all six contestants ahead of their performances that night. He’ll also catch up with hosts Mel and Mans to find out how rehearsals are going and what viewers can expect from this year’s competition. 90-minute program Eurovision: You Decide will be broadcast on BBC Two in February 2019, as part of BBC Music’s programming on the channel. The Executive Producer for BBC Studios is Mel Balac and the Series Producer is Lee Smithurst. Eurovision 2019: The Executive Producer for BBC Studios will be UK Head of Delegation, Andrew Cartmell and the Series Producer will be Lee Smithurst.The Commissioning Editor for the BBC is Rachel Ashdown. The contest will be broadcast live on BBC One and BBC Radio 2, with the semi-finals being broadcast on BBC Four. 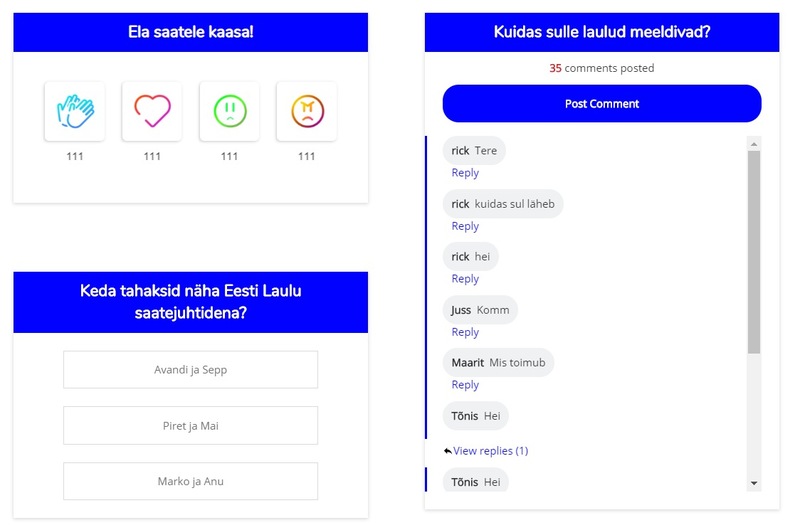 In collaboration with the Estonian startup Clappy, presentation of the Eesti Laul entries in "Eesti Laul 2019. Start" will be interactive. Viewers will be able to vote via emoticons and comment on the presented songs on ERR website which will be reflected on screen. In the TV broadcast 1-1.5 minutes long videos will be displayed while full-length will be available on ERR site at the end of the show. Program will also introduce new layout graphics for the Eesti Laul, designed by Hmmm Creative Studio which created the avant-garde design of the year inspired by the already famous songbird of Eesti Laul. "The goal was to create branding that would not only be beautiful, but everyone would be part of it personally," said designer Helene Vetik. 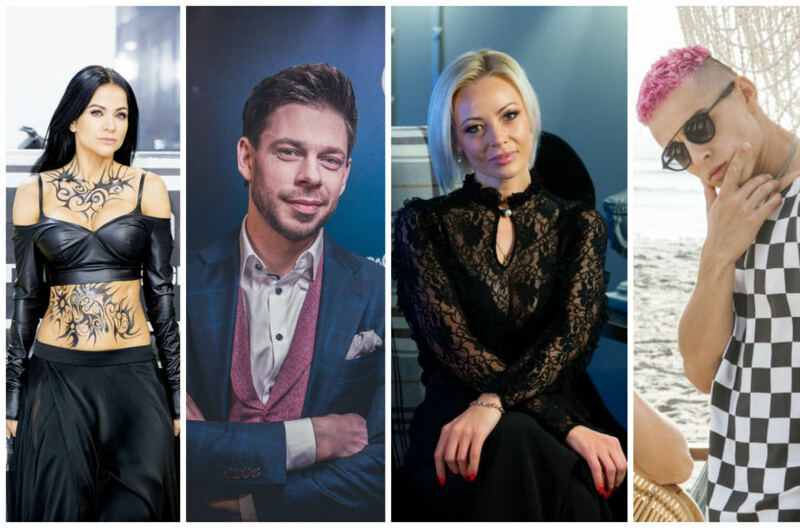 An entire Eesti Laul alphabet will be released, from which both performers and viewers will be able to make their names". The illustrator for birds is Andreas Roosson, creative director Helene Vetik and animator Karl Saluveer. "The artists also took this challenge very well. The videos were made in a short time, but they are very cool" he added. Seven out of 24 have received a music video from BFM Students. Songs for the Gala 11 of Operación Triunfo 2018 have been distributed. "What does this amazing billboard hit by J.Lo gotta do with the 2019 ESC Cyprus entry?" It is possible that link is co-writer of the song: Brazilian-Swedish composer Geraldo "Teddy Sky" Sandell is one of co-writers of Jennifer Lopez' song and also for many years is Alex Papaconstantinou's collaborator and co-writer of Fuego. RTVE continues to search for the best song for the 2019 Eurovision Song Contest and for this purpose two evaluation committees have been established. Each committee is made up of five members. The committee which will judge the songs that have arrived through the public submissions is made of the singer and composer Zahara; Alberto Jiménez - the singer of the indie band from Madrid Miss Caffeina; two representatives of the two Spanish Eurovision fan associations, José Juan Santana (OGAE) and José Luis Amo (AEV); and Irene Mahía, as a representative for RTVE Digital. Another RTVE committee that will judge the entries received through direct invitations to the well-known composers is made of the heads of the Spanish Eurovision Delegation, Ana María Bordas and Antonio Losada, as representatives of TVE directorate; Irene Mahía for RTVE Digital; and two professors of 'Operación Triunfo 2018': Noemí Galera, director of the Academy, and Manu Guix, musical director. They have time until November 30 to deliberate and choose a maximum of twenty songs that will go to the second phase. Then, the professors of 'Operación Triunfo 2018', with the collaboration of RTVE, will assign the songs to the participants of the edition, according to the modalities that best suit their type of voice and musical style. The participants, with the help of the professors and the songwriters themselves, will work on the songs for a week, and will record a first demo version, one minute of which will be posted on the RTVE website. This will happen right after the final of 'OT 18' and the songs will be accessible during the next two weeks. The public will vote through RTVE.es and the 3 most voted will have a guaranteed place at the Special Eurovision Gala, which will be held in January. In addition, RTVE committee will choose from among the remaining 17 songs a maximum of 7 that will also be included in the final. SBS Eurovision has released first Eurovision: Australia Decides teaser. One of the acts in the video has been recognized as Mark Vincent, winner of the third season of Got Talent Australia. After the meeting with the President of Moldova Igor Dodon, the members of the Dream Team of Philip Kirkorov Dimitris Kontopoulos and Ilias Kokotos have arrived in Moscow, where they stopped at the Ritz-Carlton Hotel. 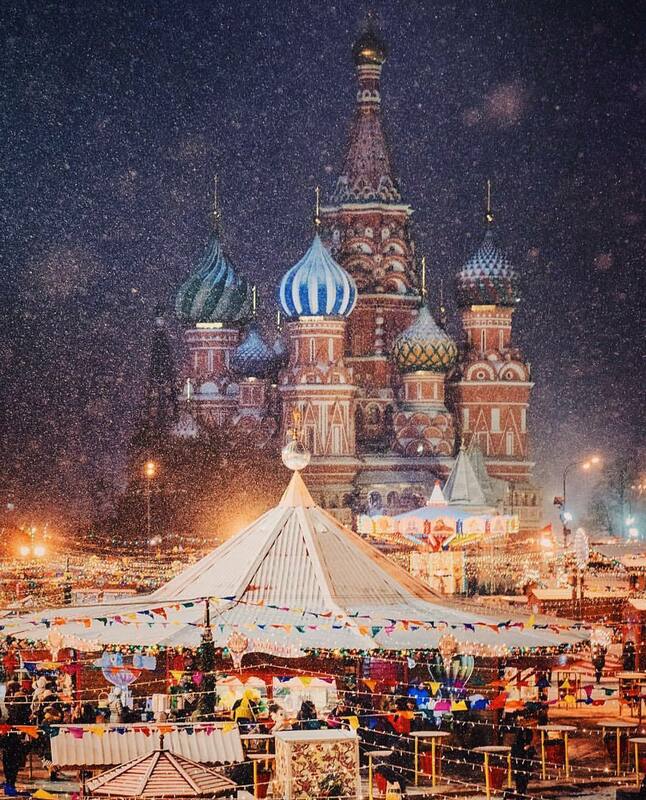 They have published photos with the winter beauty of the Russian capital in their accounts in social networks. Whether the goal of the arrival of members of the Greek Dream Team is preparation for the new December show of Philipp Kirkorov, work with a potential Eurovision contestant or just a pre-Christmas holiday is not reported yet. Yesterday, "Greek fans of opera art", together with Philipp Kirkorov himself, attended the Verdi Gala concert with Anna Netrebko and Yusif Eyvazov at the Bolshoi Theater. With 43% of the votes, María leaves Academy of Operación Triunfo 2018. Getting 57% of the votes, Marta remains in the show. No favourite of the Gala was named today. Judges keep in the Academy Julia, Natalia and Famous. Professors save Alba Reche, contestants with 2 votes save Mike, thus Sabela and Marta who got 1 vote each are nominated for the eviction in the next show. Also this Gala has featured performance of all 16 contestants with theme song of 2018 season Somos. Next time they will meet only for the participation in the Eurovision Gala. Participant of Operación triunfo 2018 África says she has never considered participation in the Eurovision Song Contest. "The festival is like another world, I had never thought of the option, neither as a dream nor anything"
At the contest she would like to perform a moving pop theme, something of a pop diva, and most important the song she would feal comfortable in it. She would like to have a performance with a lot of lights, dancers, and a cool choreography because she loves to dance, something super big like Beyoncé. If she could choose a duet partner - she would go for Famous or María. Will Srbuk (Srbuhi Sargsyan) represent Armenia at the Eurovision 2019? This information is widely speculated and among others is being reported by BlogNews.am and Hraparak.am which cite own sources. Journalists have approached performer herself to comment but she was unable to confirm or deny the news. "To be frank, I can not give you any information. I have no information what will happen to the Eurovision". The singer's PR officer was also discreet in comments. The information was also neither confirmed nor denied. According to the publication, another candidate for the Eurovision is band Nemra. In the social networks is also discussed candidacy of singer Sona. Claudio Baglioni has managed to persuade Loredana Bertè and Patty Pravo to take part in Sanremo 2019, reports weekly entertainment magazine Chi, which runs list of potential participants of the contest. In addition, Baglioni seemingly has decided that in this edition will compete only professional singers - both experienced and young, but not various TV personalities turned singers. According to the previous publications of the magazine is expected participation of Nek, Paola Turci, Arisa, Giusy Ferreri, Ultimo, as well as Irama or Riki (Riccardo Marcuzzo). Sony: Deborah Iurato, Chiara Galiazzo, Giusy Ferreri, Anna Tatangelo & Gigi D’Alessio, Il Volo, Rocco Hunt or Baby K, Lorenzo Fragola or Enrico Nigiotti. Universal: Federica Carta & Shade, Michele Bravi & Elodie, Carmen Ferreri, band Stadio or Negrita or Ex Otago, Dolcenera. Warner: Loredana Bertè, Paola Turci, Thomas, Max Pezzali. Others: Raphael Gualazzi, Raf & Umberto Tozzi, Arisa, Simona Molinari, Ultimo, Bianca Atzei & Gianluca Grignani, Lorenzo Suraci, Zen Circus, Modà, Spagna, Fiordaliso, Mietta, Pupo. "Now we have the right to vote in the Asian-Pacific Broadcasting Union. But Asia is Asia, and Europe is Europe, so some time is needed. After all, Eurovision is not just participation. There, the most important thing in the adult event is that the winner will bring Eurovision to the own country. And this is such a large scale event as the Olympics or the Football World Cup. Accordingly, these are investments, there are copyrights, broadcasting and much more. This is such a very important moment, you need to approach it with all the care, this is what the European Broadcasting Union is doing now. They are studying us." says head of JSC "Khabar Agency". "I recall Australia, which for a very long time, almost 40 years, has been seeking participation in the Eurovision and only recently they managed to get there as a special guest. That is, we should go step by step. First we need to get the guest status to participate in the Eurovision Song Contest, then we will have more chances. But all this is done in stages, which unfortunately are not revealed to us, but at the same time we are being asked to fill out all the necessary documents for their consideration, "said the chairman. The Government of Russia pledges to finance Russian participation in the Eurovision Song Contest. Prime Minister Dmitry Medvedev signed a decree on the rules for granting subsidies to the All-Russian State Television and Radio Broadcasting Company (VGTRK). The document is published on the official Internet portal of legal information. It follows from the decree that the subsidy is provided to VGTRK for the financial support of its activities, as well as to cover expenses related to the production of the programming product for the TV and radio broadcast and providing measures to bring it to viewers and radio listeners, as well as to support international activities and to maintain foreign correspondent bureaus. In addition, the subsidy includes the costs of licensing rights, goods, services and works related to the coverage of major Russian and international social, political, cultural and sports events, payment for the participation and coverage of the adult and Junior Eurovision Song Contests, as well as payment of mandatory European Broadcasting Union fees. 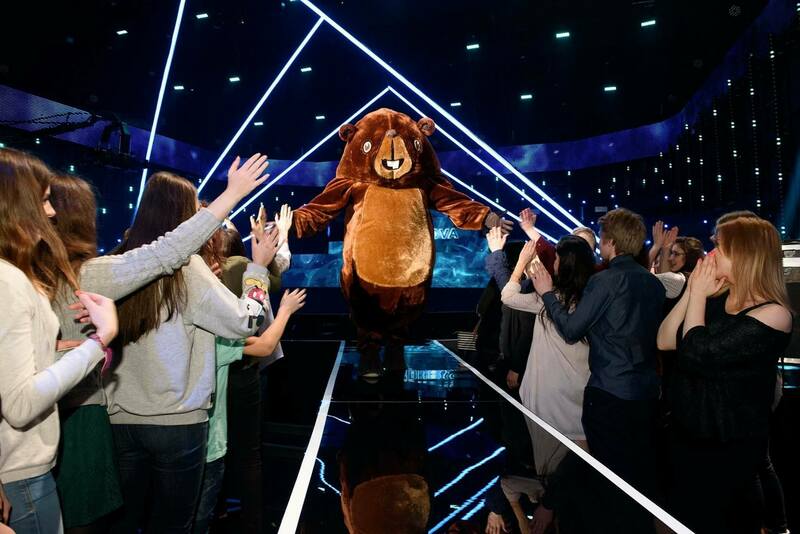 Riga Beaver (Rīgas Bebrs) also known as Ad-Break Beaver, who became the favourite of the international viewers during previous seasons of Supernova returns to the stage this time as a competitor. Beaver undercover, under the name of Kozmens, is taking part in the performance of one of the favourites of the preselection, band Dziļi Violets with the song Tautasdziesma. It is interesting, that originally credits of the song mentioned: Music: Valters Osis, Nauris Brikmanis - Folk lyrics, but since they were updated to: Music: Dziļi Violets, Lyrics: Nauris Brikmanis, Jānis Skutelis, Mārtiņš Kozlovskis. Mārtiņš Kozlovskis, also known as Kozmens - is the real name of the Riga Beaver. 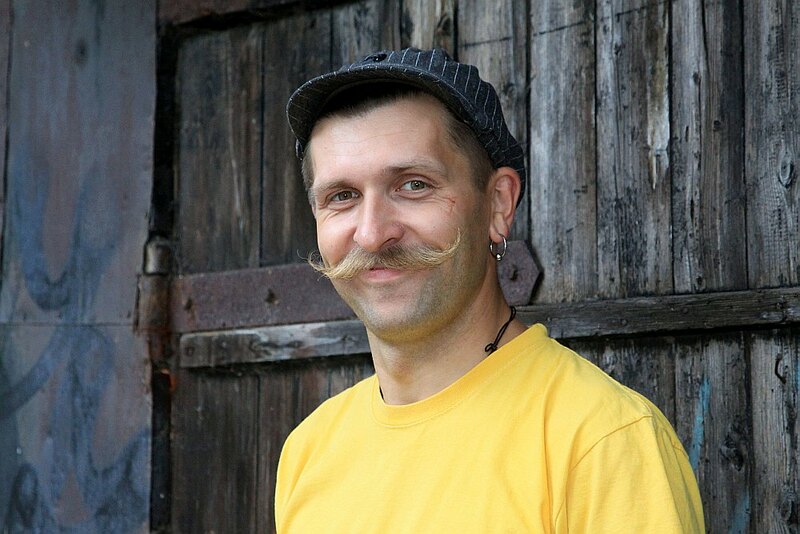 He is well-known in Latvia actor of improvisational theatre, comedian, TV and radio host, punk rock musician and frontman of band "Rīta Stienis", devoting his free time to research history of his ethnic group - Latgalians. According to him name Kozmens was created when while studying in Carnikava secondary school, guys jokingly transformed their names into Lithuanian using specific endings, but he did it differently, inspired by name of Russian singer Oleg Gazmanov. Five out of seven today's participants of Israeli show HaKokhav HaBa L'Eurovizion got over 70% of votes of jury and viewers in the hall and thus will continue taking part in the program. Among today's participants was Maya Buskila, whose name was among the contenders to represent Israel practically every year from 2006 to 2014. Judges met her performance with standing ovation. Lior Chen has already competed in the show last year. Also today's show has featured Rotem Shefi as her alias - Arabic diva Shefita. The voting system for the Melodifestivalen 2019 will change, confirmed the contest producer Christer Björkman. The purpose is to make weight of the phone voices more even with the free voices in the app. In recent years there has been criticism of SVT's voting system in the Melodifestivalen. Usually, phone and SMS vote were available for a fee, but in 2015 an app was also introduced, allowing viewers to vote for up to five times on each entry free of charge. This has coincided with the viewers' votes in the finals spread very evenly across the board in 2018, for example, there was difference of only 1.1% points between viewers top 5 thus giving the international jury greater power over the outcome. "Yes, there are changes planned, but I can not answer when they will be communicated. But definitely, adjustments are being made", says Christer Björkman. On the other hand he does not believe that the changes will affect even distribution of the votes. "I'm afraid that, as we have a more even quality of music, the result will be more even. People vote for what they like, and they like different things"
The change in the voting system is done to access a different problem, says Christer Björkman, although he does not want to specify exactly what the change looks like. "What we addressed when we did the system is that every voice should be worth as much. Five votes in the app should not be more worth compared to the phone votes. There will be adjustments that will make huge difference". Another news is that SVT will now be able to chart who votes on what, says Christer Björkman. "We will be able to kill the rumour that there are children who control the competition. We already know that the elderly vote in principle like the younger ones, only when you grow older you do not stop voting for young music. We will be able to show that now", reports Dagens Nyheter. Tiana Salmon becomes the youngest ever participant of the Melodifestivalen. Member of High15 was born on 13 May 2003 and will turn 16 the day before the first semifinal in Tel Aviv. Since she will be competing in MF on 2 February aged 5744 days it makes her record almost impossible to beat in the future. Until then, it is Rosanna Jönis who has the record. She competed with "Om du var här hos mig" in the Melodifestivalen 2001. She was 5770 days old, reports Gustav Dahlander on his blog. Update: it seems that record is actually hold by Jenny Andersén (born 10 october 1988) from Bubbles who competed in MF 2004 on 6 March 2004 (5,626 days old). Also Anna Book was 5,672 days old when competed in 1986. All 16 contestants of Operación Triunfo reunite to perform theme song Somos. 8 already evicted contestants Alfonso, Africa, Joan, Dave, Damion, Noelia, Carlos and Marilia returned to the Academy to rehearse Somos, the anthem of OT 2018, which was composed by all the participants together and which will be premierred during Gala 10. Recall, that all 16 artists are eligible for the Eurovision Gala participation. Singer Hyäne Fischer wants to represent Austria at the Eurovision Song Contest. The song "Im Rausch der Zeit" is available as music video and free download. The video for the entry is being promoted in the social networks. It is not known who stands behind the name Hyäne Fischer - the name itself probably is parody of Helene Fischer with the music video aiming as parody of Austria's current political populist games with national sterotypes. The suspicion is though that behind the idea is left-wing feminist project Burschenschaft Hysteria, reports Tonspion. "With the hit "Im Rausch der Zeit" Hyäne Fischer brings generations together - from village to capital, from man to woman, from child to grandmother: everyone is on equal footing. 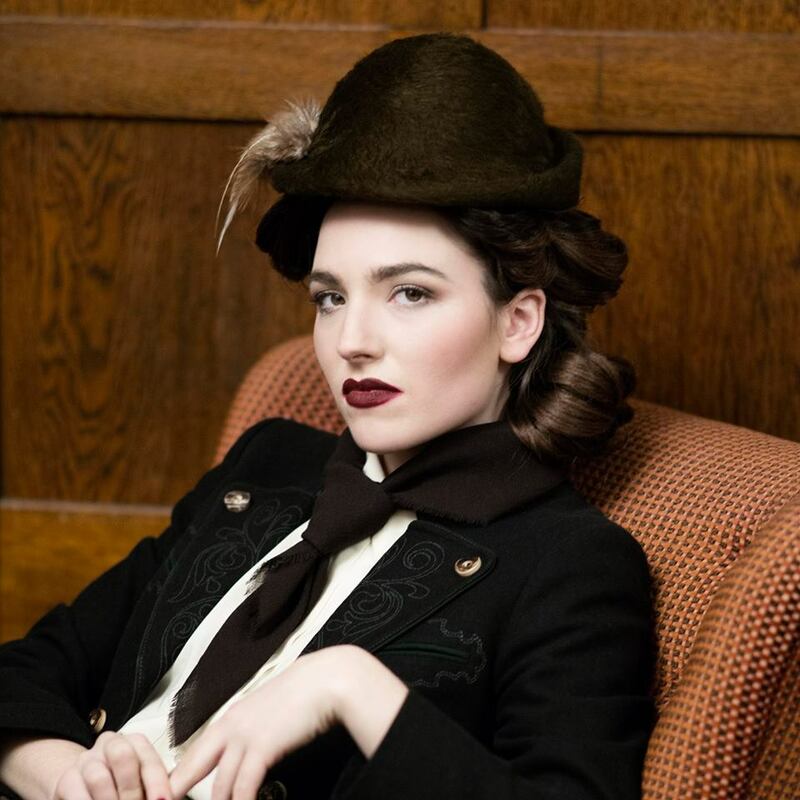 Hyäne Fischer should represent Austria at the Eurovision Song Contest 2019. Her down-to-earth spirit is the core of Austrian life affirmation! Share Hyäne's new video with your family, friends and girlfriends to help her on her way to ESC2019! #DareToDream"
On the website one can download the song for free. The Eurovision plans, however, are questionable. Austrian broadcaster ORF is concluding internal selection with the outcome should be known in December. In response to Heute, ORF stated: "Hyäne Fischer? We've never heard this name". A loan of NIS 70 million for 15 years: IPBC will finance the Eurovision Song Contest on its own. The Board of the Public Broadcasting Corporation has finally approved the outline of the Eurovision Song Contest. The State will not help finance the competition in Israel, and it will be produced entirely from the corporation budget - apparently at the expense of the original content it is obligated to produce. The board of the public broadcasting corporation KAN has approved the funding outline for the upcoming Eurovision Song Contest. The council, headed by Gil Omer, approved a loan of NIS 70 million (16.6 mln EUR) from the Ministry of Finance fund, which the corporation will repay within 15 years, reports The Marker. This means that despite the initial declarations, the state will not allocate any budget for the Eurovision Song Contest in Israel, and it will all be produced from the budget of the broadcasting corporation. This decision contradicts the position of the CEO of the corporation, Eldad Koblenz, who recommended that the council postpones the plan, since the corporation will not be able to stand alone at the high expense. The Eurovision budget will reach NIS 120 million (28.5 mln EUR) - NIS 70 million from the Ministry of Finance, and NIS 50 million from various revenues - sponsorships, ticket sales and the participation fees by the broadcasters (however this sum will be made available only after the contest). This amount is lower than the initial estimate of the corporation of more than NIS 150 million for holding the competition in Israel. Taking the loan will force the corporation to deal with an unplanned expense, and it will be required to repay at least NIS 5.7 million a year (including interest of 1.75%). The budget will probably come at the expense of content - according to the law, the corporation is obliged to invest about 260 million in content and productions to the various television channels, and now from this amount will be reduced by the loan repayment. The decision to approve a loan only to a corporation derives mainly from a legal problem. As we have published earlier, the legal opinion is that it is impossible to approve a budgetary transfer without a change in legislation. The Public Broadcasting Corporation Law, by virtue of which KAN operates, defines precisely the purpose of IPBC and determines its annual budget, and any change in the corporation's budget requires the amendment of legislation. The prevailing view in the corporation's board was that in the current political climate, it would not be possible to pass the legislation, and on the other hand, the corporation would be able to repay the loan. Recently, it was decided to increase the corporation's budget by NIS 12 million (in addition to the NIS 650 million it receives from the government budget), as part of attempts to fund educational works. Minister of Communications Ayoub Kara has stated: "I congratulate the Ministry of Finance and the Public Broadcasting Corporation who have reached an agreement on the loan for the Eurovision Song Contest thereby removing the last obstacle to holding the event in Israel. From now on we are all enlisted to raise the Eurovision Song Contest and work together for its success"
According to Christer Björkman there are two potential Eurovision winners in the line-up of this year Melodifestivalen. "On Sunday evening at 10pm I put the last artist. And then I finished the split at lunch yesterday", he explained to Aftonbladet. "There's always a hope that things can get a little bit better. We live with these songs for a long time and suddenly a song that you heard like two weeks ago or seven days ago bounces to you so that you need to rethink and get back. The conditions have changed since the song has appeared, they are constantly changing". 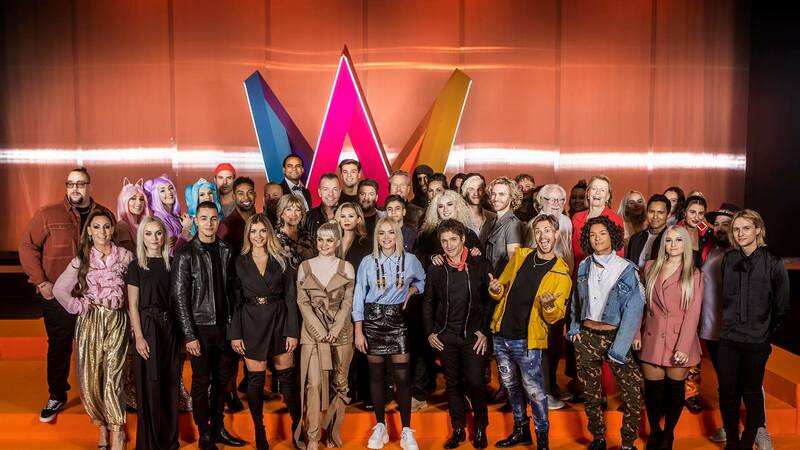 - How many potential Eurovision winners are there in this line-up? 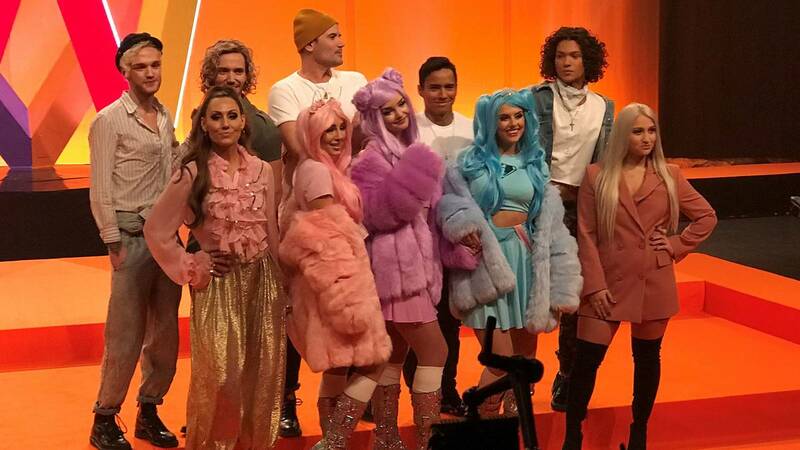 Among the 24 names are singer-songwriter Federica Abbate who was behind "No degree of Separation"; Mahmood who competed in Giovani 2016 and X Factor 2012, other X Factor participants Andrea Biagioni, Diego Conti and band Ros, and from Amici di Maria De Filippi: Einar Ortiz, Wepro, Francesca Miola and band La Rua lead by Daniele Incicco. The two live Sanremo Giovani shows will be preceded by 4 episodes of 45 minutes each hosted by Luca Barbarossa, through which the finalists will be able to make their songs and their stories known. In each final evening - 20 and 21 December - a winner will be declared, who will be able to compete in the 2019 Sanremo festival in February with a new song. Giovani shows will be hosted by Pippo Baudo and Fabio Rovazzi. The selection of the winners will be done by the Music Commission, which will have a weight of 40%, Television Jury appointed by Rai Director with a weight of 30% and televoting, also in a weight of 30%. 11 female acts, 14 male acts, 3 mixed-gender acts. 42 artists in total: 19 women and 23 men. 25 of them have competed in MF before, 17 will be competing for the first time. 80 songwriters in total: 22 women and 58 men. 5 songwriters have more than one song in the line-up: Thomas G:son - 5; Jimmy Jansson - 5, Linnea Deb - 4, Anderz Wrethov - 4, Joy Deb - 3. 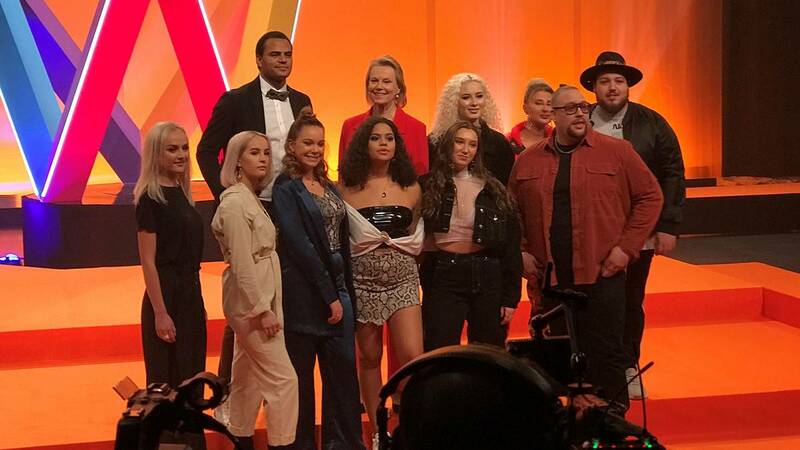 Arja Saijonmaa, Andreas Johnson and High15 girlband will compete in the Melodifestivalen, whileLiamoo and Hanna Ferm will sing a duet, according to Aftonbladet. Arja Saijonmaa, 73, makes comeback in the Melodifestivalen 2019. Arja came second in the Melodifestivaldebuten 1987 with "Högt över havet" and then competed once again, 2005 with Vad du än trodde så trodde du fel. Andreas Johnson, 48, returns to the Melodifestivalen to compete for the seventh time. The first time he competed was 2006 with "Sing for Me" which finished second in the final. Most recently, Andreas Johnson competed in 2015 with the song "Living to Die". Girldband High15 competed in "Talang" 2017 and released its debut single earlier this year. In November, the four girls released the Christmas song "La la la". 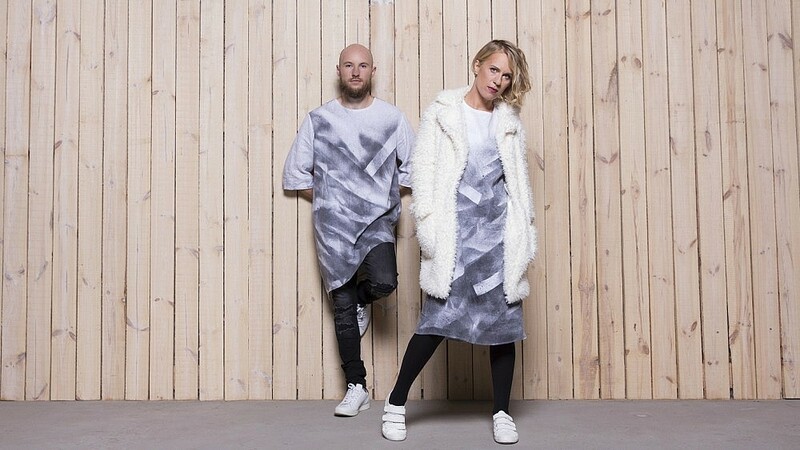 It was previously revealed that Liam "Liamoo" Cacathian Thomassen and Hanna Ferm will take part in the Melodifestivalen next year, not it is confirmed they will perform a duet. Duo had made a success and created the romance in "Idol" 2017 when Liamoo, who won the competition the previous year, was paired with Hanna Ferm for the duets night. So in total, Aftonbladet sources have confirmed 24 out of 28 possible participants of the festival. Also interested in the taking part in the contest were: Linda Pira, Andreas Wijk, Ibrahim Nasrullayev, Lisa Ajax - SVT decision on them is unknown. De vet du, according to Torbjorn Ek, have decided not to compete, but may have reconsidered. Brandsta City Släckers, Sigrid Bernsson, Ben Mitkus, Ida Redig, Bella & Filippa, Sean Banan - had apparently got a rejection from SVT. The rumours also featured names of Per Gessle, Axel Schylström, Gabriel Fontana, Sam-E, Anis Don Demina, Isa Tengblad, Saraha - but it is unknown if they did apply. At the same time Jessica Andersson, Pernilla Wahlgren, Helena Paparizou probably have not applied. 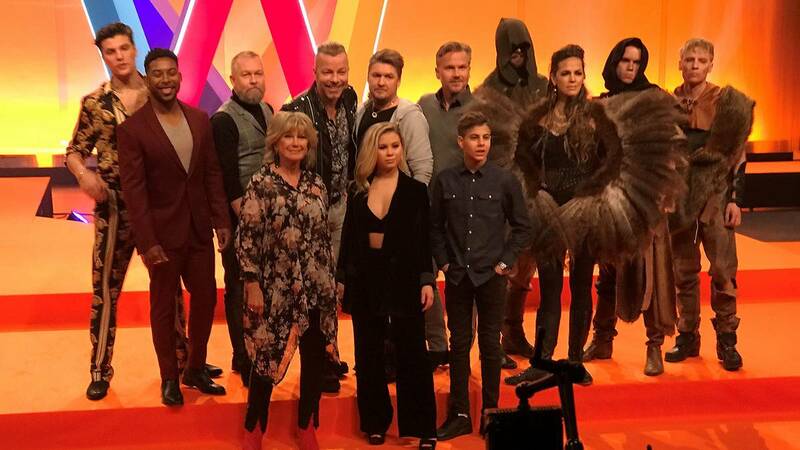 Live broadcast from the presentation of the Melodifestivalen 2019 artists will start at 9:30 on STV Play. SVT Nyheter will not run a live broadcast this year. Fans were not invited to the presentation this year, which will be attended only by accredited press. Alfonso, participant of the Operación Triunfo 2018, eliminated during Gala 2, says he has never watched Eurovision, but would love to compete in it. "Eurovision would be a great opportunity and I would make the most of it", says Venezuelian who lives in Madrid in Eurovision-Spain interview. "We still do not know the songs that will be performed by each of us and they have not mentioned anything about the Eurovision gala, but I would love it to be a classic Latin pop song, like Ricky Martín or Chayanne. I imagine the performance to have many dancers, a lot of pace and a lot of progress because I am very like that"
If he was offered to perform a duet, his preference would be Marilia, África or María. Videos of the live auditions of 33 candidates to compete in Supernova 2019 have been published on the Youtube channel of the project. Starting today music enthusiasts can vote for their favourites. Listeners can rate each entry pushing "For", "Against" or "Abstain" icons. When evaluating the previous "Supernova" season more than 152 thousand evaluations were received in total. Interestingly, the opinion of the public jury and professional jury have concided - both rated song Edgars Kreilis - Younger days on top. Voting is taking place on Supernova portal (to vote one need to authorise via Facebook, Twitter or Draugiem accounts). Voting will run until 30 November, 12:00 Latvian time. For the fifth season, Supernova received 83 songs, of which 64 songs complied with the competition rules and were evaluated by the professional jury. "As the regulations of this year stipulate that we only accepted finished songs, not demos, we expected a smaller number of applications, because the completion of the song requires a serious contribution and a lot of work," stated Supernova 2019 producer Ilze Jansone. The panel was composed of representatives of the recording company "Universal Music Group" and representatives of the leading Latvian radio stations. After the first round, in which members of the jury listened to songs without knowing their performers, authors or producers, 33 participants were invited to the second round. DJ Rudd, head of jury, musical director, editor of Latvian Radio 5 (pieci.lv), producer. The 16 participants who will take part in the semi-finals will be announced by Latvian Television on December 5. The first semi-final will take place on January 26th. In the new broadcast of Folia ton Kou-kou entertainment journalist Yannis Poulopoulos has given new information and rumours from the Greek Eurovision world. According to him, Panik Records label, which was often associated with the Eurovision in the past, suggests Vangelis Kakouriotis for the representation of Greece in Eurovision. Recall that his name was earlier featured as the candidate for Cyprus as well. At the same time, a well-known composer who has previously written Greek entries, has given his song to Kalomira for the Eurovision. Nikos Ganos has a song and is interested as well. At the same time ERT, whose Board of Directors met on Friday and discussed, among other things, the Eurovision, has not yet decided whether there should be a national final, or entrant should be chosen directly. Journalist also mentioned that composer of Russian entry will be Dimitris Kontopoulos, who was once again invited by Philipp Kirkorov to collaborate, reports INFE Greece. Mohombi and Malou are added to the Aftonbladet list of Melodifestivalen acts. Swedish-Congolese Mohombi Moupondo, 32, in 2011 got a world hit with the "Bumpy ride" which got over 172 million views on Youtube. He also had hits like "Coconut Tree" and "Dirty Situation" and collaborated with Swedish producer RedOne and artists such as Pitbull, Nicole Scherzinger and Arash. As part of Group Avalon with his brother Djo Moupondo he has competed in MF 2005 with "Big Up". 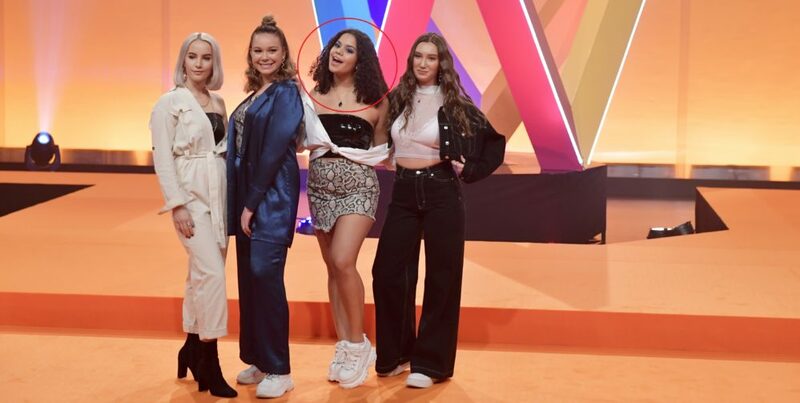 Malou Trasthe Prytz, 15 has participated in talent searches around Sweden and will make a debut in a larger context as the youngest participant in the Melodifestivalen 2019. She will turn 16 in March. Linda Pira, 33, is added to the list of possible acts. She has conducted extensive talks with SVT and tested different songs, but it is still unclear if she got a final agreement. At the same time, SVT was not able to convince Petra Marklund to compete in the show. On the songwriter front, it was revealed that Uno Svenningsson has written the song Martin Stenmarck will compete with. Deadline to present songs for the Lithuanian Eurovision preselection is approaching and 15min.lt has asked several well-known Lithuanian singers if they plan to compete in it. Jurgis Brūzga says he is putting the final touches to his Eurovision entry and that he prepares a surprise. "We have an intriguing idea - it's not new, this trick is used by some dancers - but, to my knowledge, such a thing has not yet been at the Eurovision", he says adding that success in its implementation also relies on technical abilities of the broadcast. The new song has been co-written by the authors of "4Love" Kasparas Meginis and Edgaras Žaltauskas. Singer, who had backstage experience of the contest in Lisbon, where his wife Akmėja was the backing vocalist, says he is ready for the job. Ruslanas Kirilkinas doesn't hide his ambitions to represent Lithuania, and is likely to compete with the song by Edgaras Lubis (Amberlife), which is not yet complete. "I do not want to participate in the contest as most performers do just to get broadcasts. I'm sorry for my time, my health. I'm still not sure about the song, I want it to be that both I and Engaras believe in it". Veteran of the national preselections, Aistė Pilvelyte, says she will make a decision in the beginning of December. "There is a chance that I will participate, but I am not yet firmly determined, so far I have a chance of attending 50/50. I do not want to comment more, everything is still in process", she says. Band The Roop says they have suitable songs for the contest, but lack in self-determination. "Last year we were the first to announce that we will take part in the selection, this year we still hesitate". Monika Pundziūtė-Monique, who has performed last year as a guest is considering the opportunity, but she has not yet found a right song. Same issue faces Monika Marija Paulauskaitė, who few weeks ago has visited some Swedish producers in Stockholm. Vilija Pilibaityte-Mia says that she has no plans to compete this year. Producer of Donatas Montvydas Martynas Tyla also speaks with caution saying there are no thoughts about it in the moment. Entries to compete in the final of SBS Eurovision - Australia Decides have been shortlisted. Over 700 songs were submitted to the Eurovision - Australia Decides song portal during the three-week entry period, and the range of songs we received showcases the diversity and high-quality songwriting talent across Australia. The panel of judges has now completed the immense task of reviewing each entry, and the shortlisted songs are in the process of being matched with artists. SBS will be start making announcements very soon about the high-calibre performers who will take the stage at the live selection show. Six Chair Challenge is the current stage of the X Factor Malta. As the result of this challenge, in each of the categories will remain only six contestants. This is the first stage that was filmed with the live audience of 1500, on 10 and 11 October. Todays episode featured the most massive category - Girls, and their mentor Howard Keith Debono had to cut them down from 14 to 6. Magnus Carlsson will not compete in the Melodifestivalen 2019. After several contradicting reports it is clear that SVT could not agree on the song he is supposed to compete with. The editorial team of Melodifestivalen, with Christer Björkman and Karin Gunnarsson, responsible for the selection of artists, decided that Magnus would compete with a song in Swedish. But Magnus Carlsson wanted to sing in English. Apparently, Magnus is working on an album to be released this spring and it will be entirely in English. That's why Magnus thought it would be strange to perform in Mello with a song in Swedish when all the new material he's working is in another language. Since SVT and Magnus's team could not agree, he decided not to perform at the Melodifestivalen 2019. "The reason is nothing but that I did not feel that any of the songs that were presented to me really worked, either in style, language or for my voice"
First episode of show HaKokhav HaBa L'Eurovizion, which is aimed to select participant from Israel to the Eurovision Song Contest 2019, has been aired. In the filmed auditions the artist stands in front of a giant LED wall which in the real-time displays the user pictures of those viewers in the hall who have voted for him via special application. The artist sees nothing but this interactive wall. If the singer manages to win the sympathy of the audience, the scale of loyalty, which is displayed on the TV screen, increases, the wall rises and the artist proceeds to the next round. In order to raise the wall, the artist need to win more than 70% of the vote of jury and viewers. Jury has 40% votes power - each judges has 8% votes, they can swap right (blue) to give those votes, or left (red) to deny them. From the 8 participants of the first show 6 have managed to get over 70%. Among contestants today was Daniel Mazuz - backing vocalist and dancer of Netta Barzilai in Lisbon. Performer Yevgeny Morozov (Eugene Moroz) performed Russian language version of Omer Adam's Shnei Meshugaim (Dvoye nenormalnyh), but sadly failed to qualify. Full episodes can be seen here, and separate performances here. All performances of the 1st show can also be seen here. Вещательная корпорация KAN готова инвестировать в проведение Евровидения 135-140 млн шекелей (32-33 млн Евро). Дополнительные расходы от предыдущей цифры в 120 млн означает, что 15 млн должны будут быть изъяты из бюджетов программ телеканала. После всех подсчетов, команда организаторов Евровидения пришла к выводу, что для полного соответствия необходимому бюджету суммы в 120 млн шекелей будет недостаточно. Потому, уже в этом году, KAN планирует сократить бюджеты проектов телеканала на 10-20 млн, и уже начал оповещать об этом различные продакшн компании, которые создают для него телепрограммы. На данный момент неясно, какие проекты пострадают больше всего, но, по всей видимости, задача состоит в распределении нагрузки на максимально большое количество проектов. В любом случае, наибольший ущерб понесут крупные продакшн компании, которые создают для корпорации ТВ проекты на миллионы шекелей в год. Первоначально, планируемый бюджет Евровидения оценивался в 157 млн шекелей, но позднее, во время переговоров с министерством финансов, сумма была снижена до 120. Из них 70 млн будут взяты в заем на 15 лет от правительства. Еще 40-50 млн шекелей поступят в виде доходов от продажи билетов, спонсорства и взносов за право участия. Оставшуюся сумму придется брать из бюджета телекомпании, который составляет 650 млн шекелей в год. На этой стадии, команда организаторов Евровидения решила установить более высокую цену - по меньшей мере 130 млн шекелей. Это означает, что помимо выплаты займа, корпорации нужно будет выделить из своего бюджета еще 10-20 млн шекелей на Евровидение - потому и начались сокращения. Дополнительная информация: cтраница организации конкурса. Названа представительница Армении, опубликованы песни Латвии и Эстонии, названы кандидаты в Албании, Мальте, Испании, Швеции. Сезон Евровидения 2019 набирает ход - а значит началось медленное движение и на букмекерском рынке. Так, на самом популярном инструменте - бирже ставок Betfair на данный момент заключено пари на общую сумму в 113 евро. Как видно из данных цифр, на данный момент только объявление представительницы Армении вызвало определенный энтузиазм среди игроков рынка, при этом песни Латвии и Эстонии особенно положительного впечатления на беттеров не произвели. Однако, мы призываем не делать каких-либо далеко идущих выводов на основе этого минимального объема данных. Общие затраты греческого вещателя ERT на участие в конкурсе Евровидение 2018 составили 183 470 евро, сообщает Eurovisionfun. Из них, 119 тысяч евро составил взнос в ЕВС за право участия в конкурсе, 25 тысяч евро - стоимость технической организации эфиров, 8 тысяч евро - аренда комментаторской будки. За оставшиеся деньги (31 тысячу евро), ERT подготовило три передачи с представлением греческой песни, а также других участников полуфиналов, поездку, проживание и ежедневные расходы четырех сотрудников телеканала (глава делегации, глава прессы и два комментатора) в Лиссабоне на период от 7 до 15 дней, а также расходы на транспорт в Лиссабоне, перевозку промо-материалов и т.д. Стоимость затрат на создание самой конкурсной песни не были разглашены. Для сравнения, RTÉ, ирландский вещатель, потратил на конкурс 2018 года 304 088 Евро. Всего 18 человек отправились в Лиссабон в составе ирландской делегации, включая шесть сценических исполнителей. Взнос за право участия составлял 83 861 Евро. 220 227 евро были потрачены на оплату артистам и дизайнерам, постановку номера, производство графика, декорации, пиротехнику, костюмы, хореографию, запись песни, участие в промо-мероприятиях и др. Собственно производство номера Ирландии обошлось в 27 190 Евро, проживание делегации в 42 355 Евро, перелет в 9 146 Евро, еда и другие ежедневные расходы в 13 632 Евро. Nova Productions, продюсеры грузинского Идола Sakartvelos varskvlavi подтвердили, что финал шоу состоится 2го марта. Как мы уже писали ранее, десять конкурсантов будут отобраны для девяти шоу в прямом эфире составом жюри из четырех членов. Шоу начнет выходить в эфир с 5 января 2019 года, таким образом девятое шоу - финал - пройдет 2 марта. Пятеро из семи сегодняшних участников HaKokhav HaBa L'Eurovizion вышли в следующий раунд. В сегодняшней программе принял участие брат одного из судей проекта Бена Эль Тавори - Элад, во время его выступления Бен Эль и Статик не голосовали. Записи всех выступлений можно увидеть здесь. Луиза Собрал, сестра победителя Евровидения 2017 Салвадора Собрала и автор его победившей песни "Amar Pelos Dois", заявила, что вновь получила предложение выступить на фестивале Сан-Ремо, но как и в прошлом году отказалась от него. "Ко мне обращаются очень многие артисты, которые просят написать песни для них. Но все, что связано с Евровидением не соответствует тому пути, по которому я хочу идти, и я отказываю любым предложениям связанным с ним. Я не хочу оставаться связанной с Евровидением. Меня приглашали на итальянский фестиваль. Я написала песню, но я не знаю, будет ли эта певица выступать с ней. Я написала ее потому что мне интересно писать на итальянском. Мне показалось, что было бы интересно попробовать попасть и на этот рынок. Она спрашивала, соглашусь ли я исполнить ее с ней дуэтом на фестивале, но я сказала, что не хочу иметь ничего с ним общего, буду просто композитором, но таким, что даже не отправится на него", рассказала певица в интервью программе Encontros Imediatos. "Уже не в первый раз Общественное Телевидение выбирает артиста в таком формате. "Depi Evratesil" - это крупно-масштабный конкурс, который нужно готовить долгое время, и после национального отбора еще много времени уходит на доработку песни. Для того, чтобы провести больше времени непосредственно за подготовкой к международному конкурсу, в этом году мы решили выбрать нашего артиста таким, внутренним форматом. Я уверен, что уникальный имидж Србук окажет впечатление на международное сообщество", говорит Давид. "За последние два года, имя Србук широко обсуждалось в предложениях поклонников Евровидения, потому, основываясь на ее вокальных возможностях, бесконечной энергии, артистизме и опыте выступлений на профессиональных сценах, Общественное Телевидение единогласно решило выбрать Србук", добавляет Анушик. "Я давно работала с Србук, мы вместе работали на одном из проектов, и я заметила ее трудолюбие, что является одним из ключей к успеху на Евровидении. Не прошло еще и дня, но отзывы очень положительны, и я пока не сталкивалась ни с какими отрицательными. Все рады выбором. Мы очень довольны, что мнение публики и наш выбор совпали". "Сейчас мы находимся в самой важной стадии, потому что песня - это важнейший компонент Евровидения, и мы постарались дать авторам как можно больше времени подготовить ее. Мы призываем всех быть активными и поддержать нашу исполнительницу, присылать ваши песни до 10 января. С лучшей из них Србук представит Армению на Евровидении 2019", завершает Анушик. Все песни эстонского отбора Eesti Laul 2019 вы можете прослушать в приложенном плейлисте. Видеоклипы и тексты песен доступны на сайте ERR. Смотрите записи презентации "Eesti Laul 2019. Start" здесь. Еще два музыкальных коллектива выразили свой интерес к участию в литовском отборе на Евровидение. Группа MaNNazz представит трек об охране окружающей среды, призывая к защите планеты на которой мы живем. "Я многим занималась в прошлом, но последние четыре года были четко прочерченной кривой. Я знаю, что я хочу делать - и Евровидение - это не случайное решение",- говорит Камиле Киелайте- Сенкевич, вокалистка электронной музыкальной группы MaNNazz. "Я просто почувствовала, что у меня есть, что сказать". Киелайте-Сенкевич участвовала в отборе несколько раз, последний раз шесть лет назад. "Я ничего не боюсь, я выступаю на сцене уже более 15 лет. Это не спорт - это музыкальная миссия, чтобы говорить, дарить удовольствие, лечить. Я думаю, что впервые я почувствовала желание поучаствовать в Евровидении после долгого перерыва, это когда победил Салвадор Собрал, его победа действительно привлекла к конкурсу много музыкантов, потому что ему удалось вернуть искренность и настоящую музыку. Это хорошее место для нового приключения", говорит она. "Когда я начинаю писать, я никогда не знаю, о чем будет моя песня в итоге. К моему удивлению, эта работа посвящена всем нам - о том, что нужно думать о сохранении земли, о том, что наши действия оказывают влияние на окружающую среду. Очень жаль, что мы не только используем эту замечательную планету, но и уничтожаем ее. Я сама - одна из тех, кто должен изменить многие привычки, чтобы действительно способствовать ее сохранению", - говорит К. Киелайте-Сенкевич. Члены группы уже думают о выступлении, которое будет включать в себя вокальные эксперименты, которых еще не слышали в литовских отборах, такие как битбокс. Группа Twosome снова присоединится к отбору после своего участия в прошлом году. "Достаточно показывать себя сквозь слезы и рыдания в Европе - нужен хороший юмор", говорит участник группа Паулюс Шинкунас. Новая песня будет создана самими участниками группы, а аранжировка - Юстинасом Станисловитисом. Актер Зигмантас Баранаускас, последний раз одетый в костюм фламинго, на этот раз получит вокальную роль. Шинкунас не раскрывает, о чем будет говорить новая песня, но обещает незабываемое впечатление. "Песня начинается с текста. Песня невозможна без хорошего текста. Мы обещаем, что вы наверняка будете удивлены. Может быть, это высокая фраза, но мы сделаем то, что никто никогда не делал в мире. Мы концентрируемся на том, как выступление будет выглядеть на телеэкране, и имеем четкое представление о том, чего хотим. Мы создали новый формат, сцена будет совершенно иной. Сейчас мы дорабатываем последние детали, я хочу, чтобы наш номер запомнился не меньше, чем в прошлый раз. Конечно, на этот раз фламинго не будет. Ожидайте чего-то другого - мы не группа, которая выступает только в одном стиле музыки". "Если это произойдет, и мы одержим победу на отборе Литвы, мы уверены, что за нас не будет стыдно, потому что мы стараемся делать все профессионально. Кроме того, я лично подготовил еще один сюрприз для Евровидения", - загадочно упоминает П. Шинкунас и говорит, что раскроет новые его подробности в будущем. По всей видимости, речь идет об авторах Кристоффер Фогельмарк (Bonn) и Альбин Недлер (со-продюсер Avicii), которые ранее уже сотрудничали с Алексом Папаконстантину и его постоянным соавтором Виктором Свенссоном. Так, все четверо принимали участие в написании песни Tamta - Unloved. Србуи "Srbuk" Саргсян представит Армению на Евровидении 2019. Об этом было объявлено в рамках программы "Lav yereko" на Общественном Телевидении Армении ее ведущими Арамом MP3 и Гариком Папояном. Србуи Саргсян в этом году приняла участие в украинском шоу "Голос країни", где, выступая в команде Потапа, заняла 4е место. После конкурса она подписала контракт с армянским агентством Factory Production и несколько дней назад 2018 года выпустила сольный сингл "Half A Goddess". Глава делегации Армении на Евровидении Давид Церунян сообщил, что в этом году творческая группа Общественного телевидения решила провести внутренний отбор. "Решение выбрать нашего участника было единодушным, я хотел бы также упомянуть, что многие поклонники конкурса хотели видеть Србук на сцене Евровидения. Я уверен, что уникальный образ Србук сможет впечатлить международное сообщество"
"В течение долгого времени я слежу за карьерой Србук - мы работали вместе в одном из проектов. Я могу отличить ее трудолюбие и уникальную энергию, которая является одним из важнейших компонентов достижения хороших результатов на Евровидении", сказала Анушик Тер-Гукасян, сопредседатель делегации. В то же время Общественная телекомпания Армении сделала открытый призыв к авторам подавать потенциальные конкурсные песни для Евровидения 2019 года. • Представленная композиция не должна превышать 3 минут. • Представленная композиция не должна быть опубликованной или публично обнародованной до 1 сентября 2018 года. • В тексте песни не должно быть политического контекста, оскорбительных выражений и любого неприемлемого языка. • Представленная композиция может быть в любом жанре, ее текст должен быть на армянском или английском. Песня должна быть отправлена ​​на адрес selection@armtv.com до 10 января 2019 года, с приложением к письму документа об авторском праве на запись песни и контактных данных ее авторов. Телеканал RIK в утренней программе "Omorfi mera kathe mera" подтвердил, что ответом на вчерашнюю загадку действительно является то, что песню Евровидения 2019 написала команда Алекса Папаконстантину и Teddy Sky, которые были и авторами песни Fuego. Тем временем, шоу-бизнес репортер программы "Folia ton Kou Kou" греческого Star TV Янис Пулопулос заявил, что продюсером конкурсной песни Кипра в этом году станет Red One. Киприотским вещателем эта информация не подтверждена. Напомним, что ранее Red One работал с представителем России 2011 года Алексеем Воробьевым. По словам Пулопулоса, Алекс Папаконстантину подготовил танцевальную поп-песню, но без этнических элементов, как в Fuego. В ближайшие дни, якобы, должна пройти встреча с певицей Тамтой, которой будет предложено исполнение данной песни. Член Исполнительного комитета Организации освобождения Палестины (ООП) Ханан Ашрави призвала Европейский Вещательный Союз "уважать права палестинского народа и не транслировать каких-либо мероприятий Евровидения в незаконных поселениях Израиля". В ее пресс-релизе говорится: "Предоставление Израилю привилегии проведения Евровидения 2019 года вознаграждает его и помогает ему скрывать свою многолетнюю военную оккупацию и серьезные нарушения прав палестинцев и прав человека в целом. По крайней мере, Европейский Вещательный Союз должен обеспечить, чтобы незаконные поселения Израиля на всей оккупированной палестинской территории, в том числе в Восточном Иерусалиме были категорически исключены из любой трансляции мероприятий Евровидения"
На прошлой неделе Синдикат Журналистов Палестины призвал к бойкоту Евровидения 2019. Синдикат отправил письмо в Европейский Вещательный Союз, в котором утверждалось, что связанные с Евровидением события "могут быть проведены в Иерусалиме или любой другой части оккупированной Палестины, и это нанесет ущерб правам палестинского народа, особенно их праву на самоопределение". Работая вместе с Палестинской кампанией по академическому и культурному бойкоту Израиля (PACBI), петиция - "Eurovision: Artwashing Apartheid" - уже привлекла более 25 000 подписей. Проводя параллели с апартеидом Южной Африки, петиция призывает к поддержке, призвав "членов Европейского вещательного союза - общественных вещателей - отказаться от участия и показа конкурса песни Евровидение 2019, организованного Израилем, чтобы избежать причастности к продолжающимся в Израиле нарушения прав человека и палестинцев". В то же время призывы бойкотировать конкурс от активистов BDS продолжаются по всей Европе. Сегодня несколько португальских артистов обратились в открытом письме, адресованном RTP, с призывом к отказу от участия Португалии в конкурсе. "Мы настоятельно призываем RTP применить все усилия в рамках Европейского Вещательного Союза, чтобы фестиваль был перенесен в страну, где не совершались военные преступления, в том числе убийства журналистов, и если этого не произойдет, полностью отказаться от фестиваля 2019 года". Подобная петиция на прошлой неделе была подписана и рядом швейцарских артистов. На этой неделе три кампании солидарности с Палестиной Palestine Solidarity Campaign (PSC), Stop The War Coalition и Palestinian Forum UK призвали авторов песен и исполнителей бойкотировать конкурс песни Евровидение 2019 года. Эти три группы планируют проведение акции протеста перед штаб-квартире Би-би-си в Лондоне 1 декабря, чтобы потребовать от Британской вещательной корпорации отказаться от участия в конкурсе. Сегодня же аналогичные протесты прошли в Париже возле штаб-квартиры France Televisions. 21 ноября пропалестинские гей-активисты провели караоке-акцию протеста возле популярного гей-клуба Лондона, когда там выступала победительница Евровидения Нетта Барзилай. Музыкальный протест был организован лондонской Palestine Action, в его рамках также были показаны палестинские народные танцы, а также исполнены популярные гей-гимны с переписанными текстами, рассказывающими о нарушениях прав человека в Израиле. Телеканал BBC объявил об изменения в британское отборочное шоу. Eurovision: You Decide выйдет в прямом эфире из MediaCity UK в Солфорде, таким образом впервые оно состоится на северо-западе Англии. Его ведущими вновь выступят Мел Гидройч и Монс Зельмерлев. Мел Балак, креативный директор Entertainment BBC Studios и исполнительный продюсер шоу говорит: "Eurovision: You Decide 2019 будет еще лучше и больше, чем раньше. В этом году три песни, которые будут соревноваться за право представить Великобританию были отобраны при помощи международного жюри. Наш захватывающий формат евроотбора даст поклонникам возможность сравнить на контрасте и услышать эти фантастические песни по новому, и выбрать самого заслуживающего артиста, который отправится с флагом нашей страны в Тель-Авив в мае"
Кейт Филлипс, продюсер развлекательных программ BBC говорит: "В следующем году мы вновь попробуем соединить лучшего исполнителя с лучшей песней, чтобы наконец попасть на левую часть турнирной таблицы. Может быть мы и выходим из ЕС, но по-прежнему настроены снова выиграть Евровидение!" Утреннее шоу BBC Radio 2 Кена Брюса выйдет в день конкурса в прямом эфире из Салфорда. Он пообщается со всеми шестью конкурсантами, а также ведущими шоу о том как проходят репетиции и что можно ожидать от конкурса этого года. В сотрудничестве с эстонским стартапом Clappy, презентация песен "Eesti Laul 2019. Start" будет интерактивной. Зрители смогут проголосовать при помощи эмотиконов и прокомментировать песни на сайте ERR, и эти реакции будут отражены в эфире. Во время трансляции будут представлены 1-1.5 минутные версии видеоклипов, а полные версии будут размещены на сайте ERR в конце шоу. В программе также будет представлена новая графика Eesti Laul, которую разработала студия Hmmm Creative Studio - это авангардный дизайн, который был вдохновлен уже известной птицей - символом конкурса. "Наша цель была создать брендинг, который был бы не просто красивым, но и чтобы каждый мог почувствовать себя сопричастным", говорит дизайнер Хелене Ветик. Вскоре будет выпущен весь алфавит Eesti Laul, из которого музыканты и поклонники конкурса смогут сложить свои имена". Иллюстратор птиц: Андреас Рооссон, креативный директор: Хелете Ветик и аниматор: Карл Салувеер. "Артисты хорошо восприняли эту задачу. Видео были сняты за очень короткое время, но вышли очень классными". С семью из 24 клипов помогли студенты Балтийской медиашколы BFM. Презентация песен Eesti Laul пройдет 1 декабря в 19:45 Москвы. Состоялось распределение песен 11 Гала Operación Triunfo 2018. "Какое отношение этот потрясающий Billboard хит J.Lo будет иметь к песне Кипра на Евровидении 2019?" Возможно, речь идет об общем соавторе песни - бразильско-шведский композитор Geraldo "Teddy Sky" Sandell является одним из авторов песни Дженнифер Лопес, он же - многолетний партнер Алекса Папаконстантину и соавтор песни Fuego. Испанский телеканал RTVE продолжает поиск лучшей песни для Евровидения 2019, и для этой цели были составлены два отборочных комитета. В каждый из них вошло по пять членов. Комитет, который оценит все песни, поступившие посредством открытого приема заявок будет включать в себя певицу и композитора Zahara, Альберто Хименеса - солиста инди-группы Miss Caffeina, двух представителей испанских фан-клубов Евровидения: Хосе Хуана Сантаны (ОГАЕ) и Хосе Луиса Амо (АЕВ), и Ирене Махию - представителя RTVE Digital. Второй комитет RTVE оценит песни, полученные от прямых контактов с известными авторами. В него вошли два главы делегации Испании Ана Мария Бордас и Антонио Лосада, представители директората TVE, Ирене Махия, представитель RTVE Digital и два педагога 'Operación Triunfo 2018': Ноэми Галера, директор Академии и Ману Гис, музыкальный директор. У них есть время до 30 ноября определить не более 20 песен, которые попадут во второй этап отбор. Там профессора Академии в сотрудничестве с RTVE распределят песни среди конкурсантов этого сезона, так, чтобы они наилучшим образом подходили их голосу и музыкальному стилю. Участники при помощи преподавателей и авторов песен запишут первые демо-версии, по одноминутному отрезку которых будут размещены на сайте RTVE. Это произойдет сразу после финала OT 18, и за песни можно будет голосовать на протяжении двух недель. 3 песни, набравшие больше всего голосов автоматически попадают в Eurovision Gala, который пройдет в январе. Помимо того, комитет RTVE подберет из оставшихся 17 песен еще максимум 7, которые также будут включены в состав финалистов. Телеканал SBS Австралия выпустил первый тизер с артистами, которые будут принимать участие в национальном отборе. Один из участников определен: это победитель третьего сезона Got Talent Australia Марк Винсент. После встречи с президентом Молдовы Игорем Додоном, члены Dream Team Филиппа Киркорова Димитрис Контопулос и Илиас Кокотос прибыли в Москву, где остановились в отеле Ритц-Карлтон. Фото с зимними красотами российской столицы они разместили в своих аккаунтах в социальных сетях. Является ли целью приезда членов греческой команды подготовка к новому декабрьскому шоу Филиппа Киркорова, работа с потенциальным конкурсантом Евровидения или просто предрождественский отдых - пока не сообщается. Вчера "греческие поклонники оперного искусства" вместе с самим Филиппом Киркоровым посетили концерт "Гала Верди" с Анной Нетребко и Юсифом Эйвазовым в Большом театре. С 43% голосов телезрителей Мария покидает академию Operación Triunfo 2018. Набрав 57% голосов Марта снова остается в шоу. Фаворит в сегодняшнем шоу объявлен не был. Жюри оставляют в Академии Хулию, Наталию и Фэймоса. Профессора спасают Альбу Рече, конкурсанты с двумя голосами спасают Мики, таким образом набравшие по 1 голосу Сабела и Марта номинированы на вылет в следующем шоу. Также, напомним, что сегодня в Академии появились все 16 конкурсантов, которые исполнили песню гимн сезона Somos - в следующий раз они встретятся только для участия в отборе на Евровидение. Участница Operación triunfo 2018 África говорит, что никогда не рассматривала возможности участия в конкурсе Евровидение. "Фестиваль - это как иной мир, я никогда не думала о такой возможности, даже в мечтах". Однако, если бы ей предложили выступить на конкурсе - она бы обязательно согласилась: "Представлять свою страну - это большая ответственность, но я думаю, что любой был бы обрадован и был бы очень горд. Это страшновато, но в то же время большая мотивация", говорит певица в интервью Eurovision-Spain. На конкурсе она хотела бы исполнить быстротемповую поп-песню, что-то вроде поп-дивы, но самое важное, чтобы она чувствовала себя в ней комфортно. Она хотела бы выступление со множеством света, танцоров и интересной хореографией, потому что она любит танцевать, что-то очень масштабное в стиле Бейонс. Если бы ей пришлось выбирать себе партера по дуэту, то Африка предпочла бы Фэймоса или Марию. Srbuk (Србуи Саргсян) представит Армению на Евровидении 2019? Об этом, ссылаясь на собственную информацию, пишут издания BlogNews.am и Hraparak.am. Србуи Саргсян в этом году приняла участие в украинском шоу "Голос країни", где, выступая в команде Потапа, заняла 4е место. После конкурса она подписала контракт с армянским агентством Factory Production и несколько дней назад 2018 года выпустила сольный сингл "Half A Goddess"
Журналисты обратились за комментариями к самой певицей, которая заявила в ответ, что не может предоставить информации, и не знает, что происходит с отбором на Евровидение. Пресс-служба исполнительницы также не подтвердила и не опровергла новость. По информации издания, возможной кандидатурой также является группа Nemra. В сети также обсуждается кандидатура певицы Соны. Клаудио Бальони удалось уговорить Лоредану Берте и Патти Право принять участие в фестивале Сан-Ремо 2019, сообщает журнал Chi, ведущий список потенциальных участников конкурса. Помимо того, Бальони решил, что в этом сезоне будут принимать участие только профессиональные опытные или молодые музыканты, а не различного рода запевшие ТВ-персоналии. По информации журнала практически гарантировано участие Nek, Paola Turci, Arisa, Giusy Ferreri, Ultimo, а также Irama или Riki (Riccardo Marcuzzo). Sony: Deborah Iurato, Chiara Galiazzo, Giusy Ferreri, Anna Tatangelo & Gigi D’Alessio, Il Volo, Rocco Hunt или Baby K, Lorenzo Fragola или Enrico Nigiotti. Universal: Federica Carta & Shade, Michele Bravi & Elodie, Carmen Ferreri, группа Stadio или Negrita или Ex Otago, Dolcenera. Другие: Raphael Gualazzi, Raf & Umberto Tozzi, Arisa, Simona Molinari, Ultimo, Bianca Atzei & Gianluca Grignani, Lorenzo Suraci, Zen Circus, Modà, Spagna, Fiordaliso, Mietta, Pupo. Имя артиста, который представит Армению на конкурсе песни Евровидение 2019 будет объявлено 30 ноября в 22:20 местного времени (21:20 Москвы) в рамках программы "Lav yereko" на Общественном Телевидении Армении. "Уже на протяжении многих лет "Хабар" входит в EBU. Но у нас первая задача – чтобы мы стали полноправными членами союза, чтобы у нас было право голоса. Когда мы ими станем, будет легче. И работа в этом направлении ведется почти ежедневно. Были большие переговоры министра информации и коммуникаций Даурена Абаева и руководящего состава со стороны EBU. Переговоры не заканчиваются, мы продолжаем работать. И уже после "Евровидения" у нас были с ними встречи. Я думаю, они приедут сюда, в Казахстан, в Астану, Алматы, будут продолжены переговоры. Соответственно, потом будет, наверное, чуть позже какое-то решение", – сказал Ажибаев в интервью Today.kz. Он также сообщил, что у Казахстана есть очень важный аргумент – агентство "Хабар" стало полноправным членом Азиатского вещательного союза. "Теперь у нас есть право голоса в Азиатском вещательном союзе. Но Азия есть Азия, а Европа есть Европа, поэтому нужно время. Ведь "Евровидение" – это не просто его проведение. Там самое главное, во взрослом, что победитель привезет "Евровидение" в свою страну. А это такой масштаб, как олимпиады или чемпионат мира по футболу. Соответственно, это инвестиции, это правообладание, трансляция и многое другое. Это такой очень важный момент, надо к нему подойти со всей внимательностью, что и делает Европейский вещательный союз. Они нас изучают пока", – отметил глава АО "Агентство "Хабар". По словам Алана Ажибаева, шанс попасть на Евровидение 2019 у Казахстана еще есть в качестве специального гостя, но это все тоже решается в рамках EBU. "Тут вспоминается Австралия, которая очень долгий период , чуть ли не 40 лет, добивалась участия в "Евровидении" и только недавно им удалось выступить в качестве специального гостя. То есть шаг за шагом надо делать. Сначала нам надо получить статус гостя для участия во взрослом "Евровидении", тогда у нас будет больше шансов. Но все это поэтапно, не раскрывают нам, к сожалению, всех секретов, но при этом просят заполнять все необходимые для рассмотрения документы", – сказал спикер. В то же время Алан Ажибаев вновь подтвердил, что Казахстан подал заявку на проведение конкурса "Детское Евровидение-2019". "Страну-организатора еще не определили, будет голосование, там отбор происходит. Это большой и сложный механизм. Очень многие страны подали заявку, потом будут идти определенные работы – они сами приезжают, выбирают, смотрят. Это непростая процедура, на всех заседаниях они будут решать", – пояснил Ажибаев. Премьер-министр РФ Дмитрий Медведев подписал постановление о правилах предоставления субсидий ФГУП "Всероссийская государственная телевизионная и радиовещательная компания" (ВГТРК). Документ опубликован на официальном интернет-портале правовой информации. Из постановления следует, что субсидия предоставляется ВГТРК на финансовое обеспечение деятельности, а также на покрытие расходов, связанных с производством программного продукта, наполнением им телерадиоэфира и с обеспечением мероприятий по доведению его до телезрителей и радиослушателей, на обеспечение международной деятельности, содержание зарубежных корреспондентстких пунктов. Кроме того, субсидия включает расходы на оплату лицензионных прав, товаров, услуг и работ, связанных с освещением крупных российских и международных общественно-политических, культурных и спортивных мероприятий, оплату за участие и освещение детского и взрослого конкурсов "Евровидение" и оплату обязательных платежей Европейского Вещательного Союза. Рижский бобер (Rīgas Bebrs), так полюбившийся поклонникам Евровидения, возвращается на сцену Supernova в качестве участника национального отбора. Переодетый бобер, под именем Kozmens, принимает участие в номере одних из главных фаворитов отбора, группы Dziļi Violets с песней Tautasdziesma. Интересно, что первоначально в заявке было указано: Музыка Valters Osis, Nauris Brikmanis - Слова народные, но впоследствии заявка была уточнена на: Музыка: Dziļi Violets, Текст: Nauris Brikmanis, Jānis Skutelis, Mārtiņš Kozlovskis. Мартиньш Козловкис, известный также как Kozmens - настоящее имя Рижского бобра. Он - известный в Латвии актер импровизационного театра, комедиант, теле и радиоведущий, панк-рок музыкант и вокалист группы "Rīta Stienis", в свободное время изучающий историю своего народа - латгальцев. По его словам, имя Kozmens было вдохновлено российским исполнителем Олегом Газмановым, и появилось, когда он учился в средней школе Царникавы где ребята забавы ради трансформировали свои имена с литовскими окончаниями. Пятеро из семи сегодняшних участников израильского шоу HaKokhav HaBa L'Eurovizion продолжат участие в программе. Они набрали свыше 70% голосов зрителей в зале и жюри. Среди сегодняшних участников была Майя Бускила, чье имя фигурировало в качестве претендента на поездку на Евровидение почти каждый год с 2006 по 2014. Судьи встречали ее выступление стоя. Лиор Хен уже была в составе участников шоу в прошлом году. Также в шоу появилась и Ротем Шефи в качестве своего комического персонажа - арабской дивы Шефиты. Система голосования в Melodifestivalen 2019 изменится, подтвердил продюсер конкурса Кристер Бьоркман. Цель изменений - сделать так, чтобы голоса, поданные по телефону, стали весить еще больше, чем бесплатные голоса через мобильное приложение. В последние годы, система голосования на конкурсе часто подвергалась критике. Ранее, было доступно только платное телефонное и СМС голосование, но в 2015 году было введено мобильное приложение, позволяющее зрителям голосовать до пяти раз за каждую песню бесплатно. Это совпало с тем, что голоса в финале шоу стали распределяться почти равномерно - так в 2018 году разница между топ 5 составила 1.1%, что дало больший вес голосованию международного жюри. "Да, мы планируем изменения, но я не могу ответить, когда о них будет рассказано. Но непременно они будут", говорит Бьоркман. Однако, он не думает. что изменения поменяют равномерное распределение голосов. "Я боюсь, что качество музыки в шоу становится более равномерным, и таким же будет результат. Люди голосуют за то, что им нравится, а нравятся им всем разные вещи". Изменения направлены на борьбу с другой проблемой, говорит Бьоркман, не уточняя какими они точно будут. "Мы решаем вопрос веса каждого голоса. Пять голосов в приложении не должны весить больше по сравнению с телефонным голосом. Мы введем изменения, которые должны сыграть огромную роль в этом". Помимо того, SVT теперь получит возможность составлять чарты голосования. "Мы ответим на слух, что конкурс контролируют дети. Мы уже знаем, что в принципе старшее поколение голосует также как и молодое, потому что взросление не заставляет перестать голосовать за молодежную музыку. Мы сможем наглядно все это показать". Тиана Салмон станет самой молодой участницей Мелодифестивалена за всю его историю. Участница группы High15 родилась 13 мая 2003 года, и 16 лет ей исполнится за один день до первого полуфинала конкурса в Тель-Авиве. Поскольку она будет выступать в МФ 2го февраля в возрасте 5744 дней - это делает ее рекорд практически недостижимым в будущем. До этого момента рекорд принадлежит Росанне Йонис, которая исполняла песню "Om du var här hos mig" в Melodifestivalen 2001. Ей было 5770 дней. Обновление: похоже, что рекорд все-таки держит Йенни Андерсен из Bubbles, которой на момент участия в МФ 2004 было 5626 дней. Также Анне Бук было на момент участия в МФ 1986 5672 дня. Все 16 конкурсантов Operación Triunfo объединятся, чтобы исполнить гимн сезона Somos. Прошла общая репетиция, в которой приняли участие также и 8 уже выбывших конкурсантов. Напомним, что в отборе на Евровидение имеют право участия все 16 артистов. Певица Гиена Фишер хочет представить Австрию на Евровидении. Песня "Im Rausch der Zeit" выпущена с видеоклипом и доступна для бесплатного скачивания. Видеоклип на песню продвигается в социальных сетях. Пока неизвестно, кто скрывается под именем Гиеры Фишер - само имя, скорее всего, является пародией на популярную певицу Хелену Фишер, а видеоклип пародирует нынешние австрийские политические популистские игры и национальные стереотипы. Есть предположение, что за идеей может скрываться левый феминстский проект Burschenschaft Hysteria, сообщает Tonspion. "С хитом "Im Rausch der Zeit" Гиена Фишер объединяет поколения - деревенских со столичными, женщин с детьми, детей с бабушками - все едины. Гиена Фишер должна представить Австрию на Евровидении 2019. Ее пронзительный дух олицетворяет основу австрийского жизнеутверждающего стиля жизни. Делитесь видеоклипом Гиены со своими семьями, друзьями и подругами и помогите ей на ее пути на Евровидение 2019. #DareToDream"
На вебсайте певицы можно бесплатно скачать ее песню. Планы на Евровидение, однако, остаются под вопросом. Австрийский вещатель ORF завершает внутренний отбор, и его результат должен стать известным в декабре. В ответ на запрос Heute, ORF заявил: "Гиена Фишер? Мы никогда не слышали этого имени". Кредит в размере 70 миллионов шекелей на 15 лет: корпорация KAN будет финансировать конкурс Евровидение самостоятельно. Правление Общественной вещательной корпорации сегодня наконец-то одобрило бюджет Евровидения. Государство не поможет финансировать конкурс в Израиле, и он будет полностью проведен за счет бюджета вещательной корпорации - очевидно, в ущерб оригинального контента, который она обязана производить. Правление общественной телекомпании KAN одобрило план финансирования предстоящего Евровидения. Совет, возглавляемый Гилем Омером, утвердил займ в размере 70 млн. шекелей (16.6 млн Евро) из фонда Министерства финансов, который корпорация погасит в течение 15 лет. Это означает, что, несмотря на первоначальные заявления, государство не будет выделять бюджет для Евровидения в Израиле, и весь конкурс будет проведен за счет бюджета телекомпании. Это решение противоречит позиции генерального директора корпорации Эльдада Кобленца, который рекомендовал, чтобы совет отказался от этого плана, поскольку корпорация не сможет в одиночку справиться с высокими расходами. Бюджет Евровидения достигнет 120 миллионов шекелей (28.5 млн Евро) - 70 миллионов шекелей от Министерства финансов и 50 миллионов шекелей различных доходов - спонсорства, продажи билетов и взносов за право участия в конкурсе (впрочем, эта сумма поступит только после завершения конкурса). Эта сумма ниже первоначальной оценки бюджета в 150 миллионов шекелей на проведение конкурса в Израиле. Принятие займа заставит корпорацию самой справляться с незапланированными расходами, и она должна будет погашать долг в сумме не менее 5,7 млн. шекелей в год (включая проценты 1,75%). Бюджет Евровидения, вероятно, будет выделен за счет отказа от производства некоторого собственного контента - согласно закону корпорация обязана инвестировать около 260 миллионов в контент и производство программ для различных телевизионных каналов, и теперь эта сумма будет уменьшена на сумму выплаты кредита. Решение утвердить финансирование конкурса только в виде займа происходит главным образом из правовой проблемы. Как мы уже ранее писали, юридическая проблема заключается в том, что корпорация не может принять бюджетный трансфер без изменения законодательства. Закон о Общественной вещательной корпорации, в рамках которого действует KAN, определяет цели корпорации и ее годовой бюджет, а любое изменение в бюджете корпорации требует внесения изменений в законодательство. Преобладающее мнение в совете корпорации заключалось в том, что в нынешнем политическом климате было бы невозможно изменить законодательство, а с другой стороны, корпорация вероятно все-таки смогла бы погасить кредит. В последнее время было принято решение увеличить бюджет корпорации еще на 12 млн. шекелей (в дополнение к 650 млн. шекелей, которые она уже получает из государственного бюджета) в рамках финансирования образовательных программ. Министр коммуникаций Аюб Кара заявил: "Я поздравляю министерство финансов и Общественную Вещательную Корпорацию с тем, что они достигли соглашения по займу для проведения конкурса Евровидение, тем самым удалив последнее препятствие к проведению конкурса в Израиле. Теперь мы все должны работать вместе ради того, чтобы он стал успешным"
По словам Кристера Бьоркмана в составе участников Мелодифестивалена 2019 есть два потенциальных победителя Евровидения. "В воскресенье в 10 вечера я добавил в список последнего артиста. И закончил распределение их вчера к обеду", объяснил он в интервью Афтонбладет. "Всегда есть надежда, что ситуация улучшится. Мы живем держа в уме эти песни в течении долгого времени, и неожиданно, песня, которую ты слышал две недели или семь дней назад, вновь всплывает в уме, заставляя задуматься и вернуться назад. Значит изменились условия с момента ее появления, а они постоянно меняются"
- Сколько потенциальных победителей Евровидения есть в составе? Определен состав финалистов молодежного фестиваля Sanremo Giovani. В число 24 финалистов вошли Federica Abbate - автор "No degree of Separation"; Mahmood - участник Giovani 2016 и X Factor 2012, другие участники X Factor - Andrea Biagioni, Diego Conti и группа Ros, а также участники Amici di Maria De Filippi: Einar Ortiz, Wepro, Francesca Miola и группа La Rua под предводительством Daniele Incicco. Перед двумя конкурсными вечерами Sanremo Giovani в эфир выйдет четыре 45 минутные программы с ведущим Люкой Барбароссой, в которых финалисты представят себя и свои песни. В каждый из финальных вечеров, 20 и 21 декабря, будет определен победитель, который сможет принять участие в Фестивале Сан-Ремо 2019 в феврале с новой песней. Ведущими шоу Giovani выступят Пиппо Баудо и Фабио Ровацци. Определение победителей будет произведено музыкальной комиссией (вес в 40%), телевизионным жюри, назначенным директором RAI с весом в 30%, и телезрителями также с весом в 30%. 11 женских номеров, 14 мужских, 3 смешанных. Всего 42 артиста: 19 женщин и 23 мужчины. 25 из них участвовали в МФ ранее, 17 дебютируют на фестивале. 80 авторов песен: 22 женщины и 58 мужчин. У 5 авторов в отборе будет более одной песни: Thomas G:son - 5; Jimmy Jansson - 5, Linnea Deb - 4, Anderz Wrethov - 4, Joy Deb - 3. Арья Сайонмаа, Андреас Юнсон и группа High15 примет участие в Melodifestivalen, в то время как Liamoo и Ханна Ферм исполнят дуэт. 73-летняя Арья Сайонмаа возвращается на конкурс. В 1987 году она заняла второе место с хитом Högt över havet, принимая участие также в 2005 году с Vad du än trodde så trodde du fel. Андреас Юнсон примет участие в фестивале уже в седьмой раз. Впервые он участвовал в 2006 с Sing For Me, и последний в 2015 с Living To Die. Группа High15 принимала участие в Talang 2017 и выпустила свой дебютный сингл ранее в этом году. В ноябре коллектив выпустил рождественскую пеню La La La. Ранее сообщалось об участии Лиама Liamoo Какачана Томассена и Ханы Ферм - теперь стало известно, что они исполнял дуэт. В рамках Идола 2017 Liamoo, победитель прошлого сезона, уже пел дуэт с Ханной. Таким образом, источники Aftonbladet подтвердили 24 из 28 возможных участников фестиваля. Заинтересованными в участии в конкурсе также были: Linda Pira, Andreas Wijk, Ibrahim Nasrullayev, Lisa Ajax - решение SVT по которым неизвестно. De vet du, которые по источникам Торбьорна Эка сами решили не участвовать в конкурсе, но могли изменить свое мнение. Brandsta City Släckers, Sigrid Bernsson, Ben Mitkus, Ida Redig, Bella & Filippa, Sean Banan - скорее всего получили отказ от SVT. В слухах можно также найти имена Per Gessle, Axel Schylström, Gabriel Fontana, Sam-E, Anis Don Demina, Isa Tengblad, Saraha - но подавали ли они заявки - доподлинно неизвестно. При этом Jessica Andersson, Pernilla Wahlgren, Helena Paparizou заявок скорее всего не подавали. 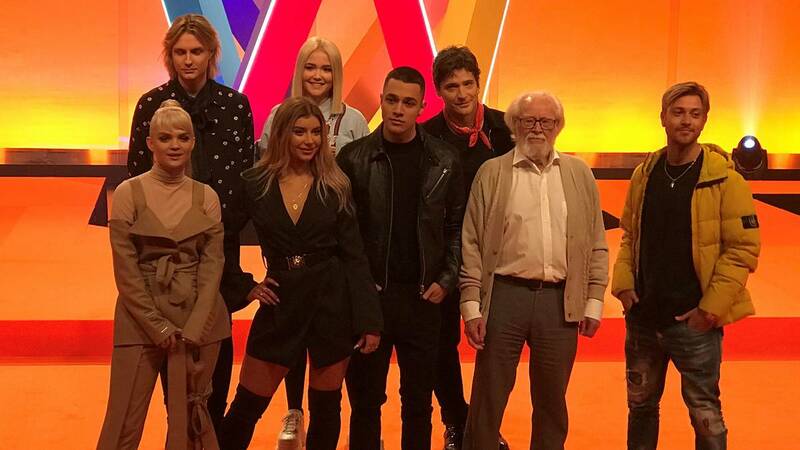 Прямой эфир с презентации артистов Melodifestivalen 2019 начнется в 11:30 Москвы на SVT Play. SVT Nyheter в этом году вести репортаж не будет. Также, на презентацию не приглашены и поклонники конкурса, на ней будет присутствовать только пресса. Альфонсо, участник Operación triunfo 2018, покинувший академию во 2м Гала, признается, что никогда не смотрел Евровидение - но очень хотел бы принять в нем участие. "Евровидение - это прекрасная возможность, и я бы сделал все, чтобы использовать ее по максимуму", говорит венесуэлец, живущий в Мадриде в интервью Eurovision Spain. "Я пока не знаю, как будут распределяться песни для Eurovision Gala, но хотел бы исполнить классическую латино-поп песню, что-то вроде Рикки Мартина или Чайяна. Номер я представляю себе со множеством танцоров, очень быстрый, много движения, как мне нравится"
Если бы ему выпала возможность выступать в дуэте, то Альфонсо предпочел бы Марилию, Африку или Марию. Видеозаписи с прослушиваний 33 кандидатов LTV Supernova были опубликованы на Youtube канале проекта. Начинает свою работу народное жюри - каждый желающий может прослушать песни и выбрать своих фаворитов. Слушатели могут проголосовать "За", "Против" кандидатов, или "Воздержаться". В прошлом сезоне Supernova было получено свыше 152 тысяч оценок, интересно, что мнение народного жюри и профессионалов тогда сошлись, наибольшую оценку получила песня Edgars Kreilis - Younger days. Голосование проводится на сайте проекта (для участия надо авторизоваться через Facebook, Twitter или Draugiem). Оно продлится до 30 ноября, 12:00 местного времени. Всего для участия в пятом сезоне шоу были получены 83 песни, из которых 64 были признаны соответствующими правилам, и оценены профессиональным жюри. "Поскольку правила этого года требовали только подачи завершенных песен, а не демо-версий, мы понимали, что получим более низкое количество заявок, ведь завершение песни требует серьезного вклада и работы", говорит продюсер Supernova 2019 Илзе Янсоне. В первое жюри вошли представители лейбла "Universal Music Group" и крупнейших радиостанций Латвии. После первого раунда слепого голосования, когда жюри не знало имен авторов или исполнителей, 33 лучших были приглашены во второй тур. DJ Rudd, председатель жюри, музыкальный директор, редактор Радио 5 (pieci.lv), продюсер. 16 песен, которые будут отобраны для участия в полуфиналах будут объявлены латвийским телевидением 5го декабря. Первый полуфинал шоу пройдет 26 января. В свежем выпуске программы Folia ton Kou-kou журналист Яннис Пулопулос рассказал новую информацию и слухи из греческого мира Евровидения. Так, по его словам, компания Panic Records, которая в прошлые годы всегда направляла своих подопечных на Евровидение, в этот раз предлагает для Греции кандидатуру Вангелиса Какуриотиса. Напомним, что его же имя фигурирует и в списке кандидатов на Кипре. Также, некий известный композитор, который ранее уже писал песни Греции для Евровидения, предложил Каломире свою песню для исполнения на конкурсе. Песня есть и у Никоса Ганоса, который также хотел бы принять участие. В то же время, телеканал ERT пока не принял решения, выбирать ли представителя внутренним отбором, или проводить национальный финал. Журналист также отметил, что от России в этом году будет трек Димитриса Контопулоса, которого к участию вновь пригласил Филипп Киркоров. Мохомби и Малу Трасте Притц добавлены в список Aftonbladet потенциальных участников Melodifestivalen. 32-летний шведско-конголезский исполнитель Мохомби Мопондо в 2011 году выпустил мировой хит "Bumpy ride", который собрал 172 млн просмотров на Youtube. Также на его счету такие хиты, как "Coconut Tree" и "Dirty Situation" и работа с продюсером RedOne, и такими артистами как Pitbull, Николь Шерзингер и Араш. В составе группы Avalon вместе со своим братом Джо Мопондо он уже принимал участие в МФ 2005 с песней "Big Up". 15-летняя Малу Трасте Притц принимала участие в конкурсах молодых талантов по всей Швеции и дебютирует на своем первом крупном мероприятии, став самой молодой участницей Мелодифестивалена 2019. 16 лет ей исполнится в марте. 33-летняя Линда Пира добавлена в список возможных участников. Она провела длительные переговоры с SVT и протестировала ряд потенциальных песен, но пока не ясно, получила ли итоговое одобрение. В то же время, SVT не удалось убедить Петру Марклунд принять участие в фестивале. Среди авторов стало известно, что Уно Свеннингссон стал автором песни Мартина Стенмарка. Крайний срок приема заявок на участие в литовском отборе на Евровидение приближается, и 15min.lt опросили ряд известных литовских артистов, планируют ли они принять в нем участие. Юргис Брузга рассказал, что как раз завершает работу над своей конкурсной песней и готовит сюрприз. "У нас есть интригующая идея - она не нова, этот трюк иногда используют танцоры - но, насколько я знаю, такого еще никогда не было на Евровидении", говорит он, добавляя, что удачное воплощение будет также зависеть от технических возможностей эфира. Новая песня была написана вместе с авторами "4Love" Каспарасом Мегинисом и Эдгарасом Жалтаускасом. Певец, который получил в прошлом году опыт закулисья Евровидени в Лиссабоне, где его жена была бэк-вокалисткой, говорит, что он готов к задаче. Русланас Кирилкинас не скрывает своего желания представить Литву на Евровидении и скорее всего выступит с песней Эдгараса Лубиса (Amberlife), которая, правда, еще не завершена. "Я не хочу участвовать в конкурсе как многие исполнители, только для дополнительного эфира. Я берегу свое время и здоровье. Я пока не совсем уверен в песне, она должна быть такой, чтобы и я и Эдгарас поверили в нее". Ветеран национального отбор Аисте Пилвелите говорит, что примет решение об участии в декабре. "Есть шанс, что я выступлю на конкурсе, но я пока не полностью решилась, пока шансы примерно 50-50. Я пока больше не буду ничего комментировать, все еще в процессе". Группа The Roop говорит, что у них есть подходящие песни для конкурса, но нет собственной решимости. "В прошлом году мы первыми объявили о нашем участии, в этом году мы все еще сомневаемся". Моника Пундзиуте-Monique, которая в прошлом году выступала в качестве гостьи, рассматривает возможность участия, но пока не нашла подходящей песни. С такой же проблемой сталкивается и Моника Мария Паулаускайте, которая несколько недель назад посетила ряд шведских продюсеров в Стокгольме. Вилия Пилипбайте-Мия заявляет о том, что у нее нет планов участвовать в конкурсе в этом году. Продюсер Донатаса Монтвидаса Мартинас Тила также с осторожностью говорит, что пока подобных мыслей у них нет. В Австралии завершен отбор песен-финалистов национального отбора Eurovision - Australia Decides. Профессиональное жюри заслушало свыше 700 переданных песен, и сейчас выбранным песням подбираются исполнители. В ближайшее время телеканал SBS начнет делать объявления того, какие исполнители высокого уровня примут участие в финальном шоу. На мальтийском шоу X Factor начался этап Испытание шести стульев. После него в каждой из категорий останется по шесть участников. Это первый этап, съемки которого прошли в присутствии зрительской аудитории в 1500 человек, 10 и 11 октября. Сегодня был показан отбор в самой масштабной категории - Девушки, где наставник Ховард Кит Дебоно вынужден был сократить количество участниц с 14 до 6. Магнус Карлссон не примет участие в Мелодифестивалене 2019. После ряда противоречивых сообщений, стало ясно, что SVT не достигло договоренности о песне, которую Магнус должен был бы исполнить. Команда организаторов конкурса, во главе с Кристером Бьоркманом и Карин Гуннарссон, отвечающие за подбор артистов, решили, что Магнус должен выступить с песней на шведском языке. Но сам артист хотел петь на английском. Блоггер Aftonbladet Торбьорн Эк сообщает, что Магнус работает над новым альбомом, который будет выпущен этой весной, и он будет полностью на английском языке. Потому, Магнус счел странным выступать на Мелло с песней на шведском. Поскольку SVT и команда Магнуса не смогли договориться, то было принято решение, что он все-таки не примет участия в фестивале. "Причина ни в чем ином, кроме того, что я не почувствовал, что какая-либо из песен, предложенных мне работает - по стилю, языку, или для моего голоса"
В Израиле прошел первый выпуск шоу HaKokhav HaBa L'Eurovizion, нацеленный на выбор представителя Израиля на Евровидении. В первых отборочных раундах артист располагается за огромной LED-стеной, на которой в реальном времени демонстрируются фотографии тех зрителей в зале, кто проголосовал за него при помощи специального приложения. Артист не видит ничего, кроме этой интерактивной стены. Если певцу удается завоевать симпатию зрителей, шкала лояльности, которая демонстрируется на телеэкране, растет, стена поднимается и артист выходит в следующий раунд. Жюри имеет вес в 40% голосов - у каждого члена жюри по 8% - они могут сделать свайп вправо (синий), чтобы дать эти голоса, или влево (красный), чтобы отклонить конкурсанта. Для того, чтобы поднять стену, артисту необходимо собрать свыше 70% голосов от зрителей и жюри. Напомним, что шоу данного формата в России выходило под названием "Артист". Из 8 участников первого выпуска шоу 70% набрать удалось шести. Среди конкурсантов была Даниель Мазуз, бэк-вокалистка и танцовщица номера Нетты Барзилай в Лиссабоне. Исполнитель Евгений Морозов (Eugene Moroz) исполнил русскоязычную версию песни Омера Адама Shnei Meshugaim (Двое ненормальных), но, к сожалению не прошел в следующий этап. Полные выпуски шоу можно видеть здесь, а отдельные выступления здесь. Все выступления 1го шоу можно увидеть также можно увидеть здесь.